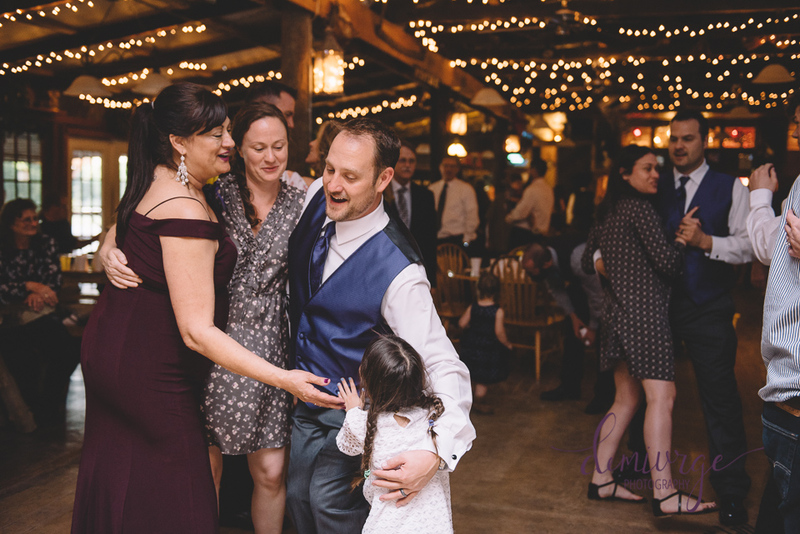 Andre and Vicki define silly, adventurous, and laid back couples in love and this is everything I hope for when I photograph couples. 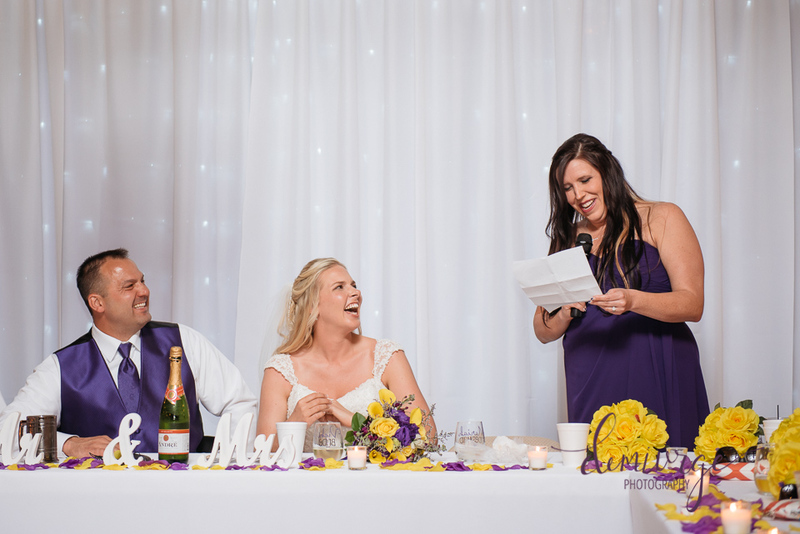 I wish for laughter, joy, couples who are easy-going, and down-to-earth brides with big hearts. 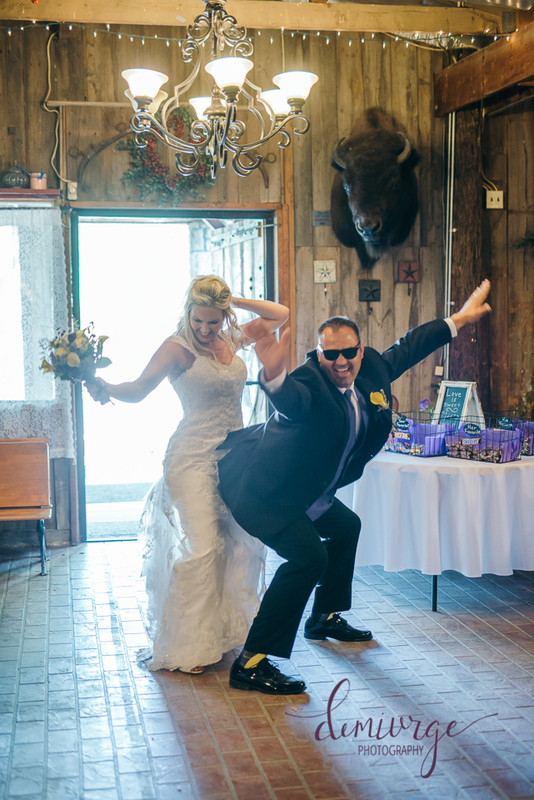 This is Andre and Vicki to a T! 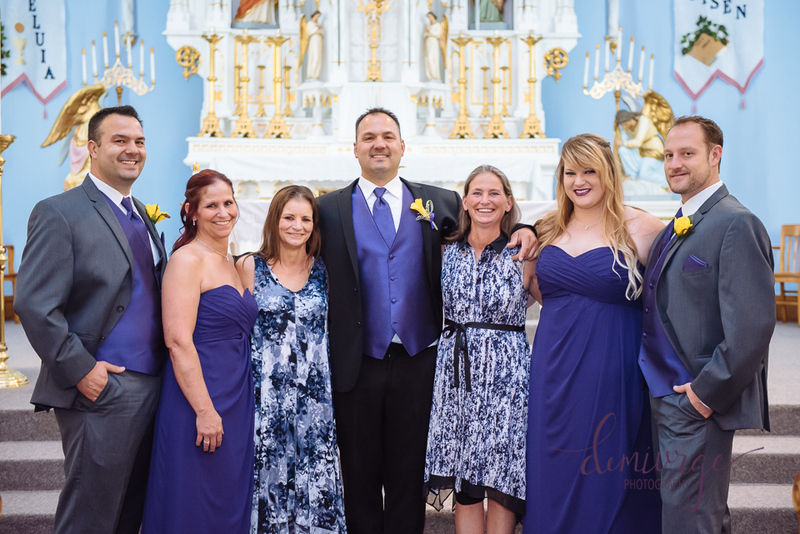 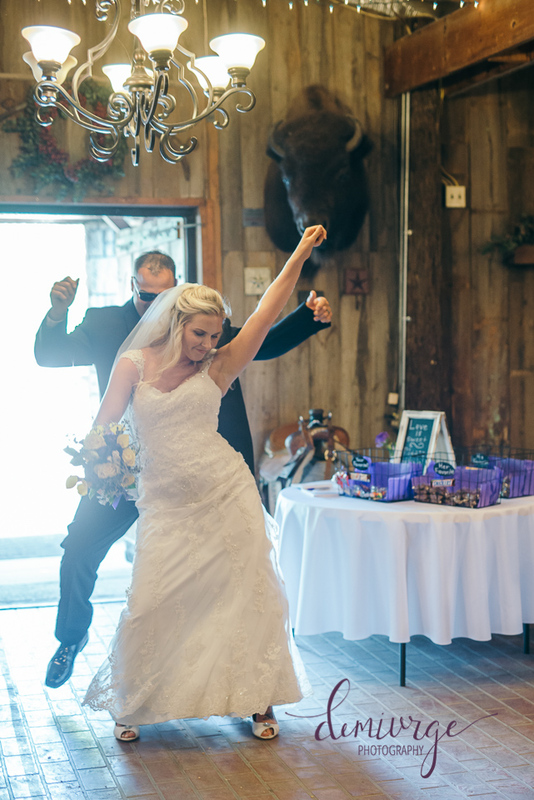 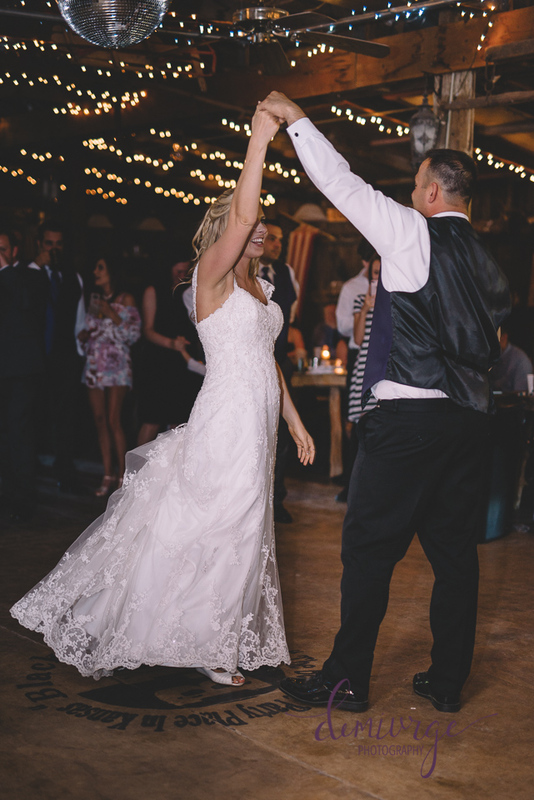 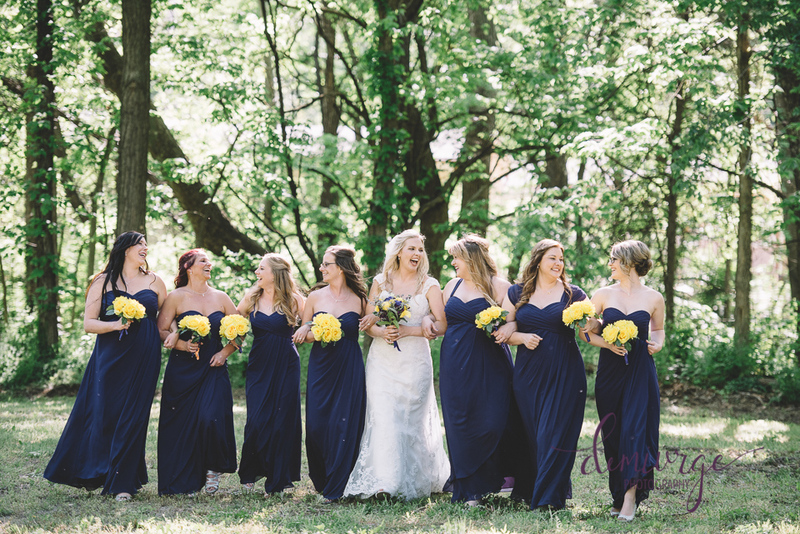 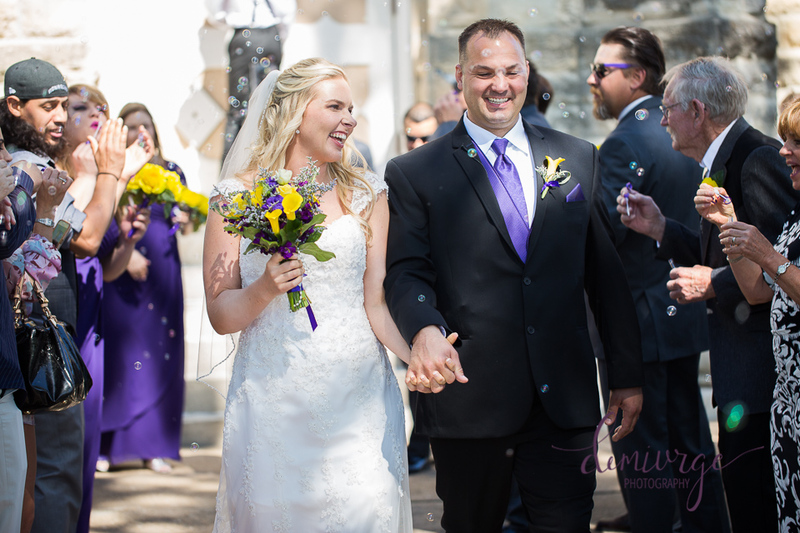 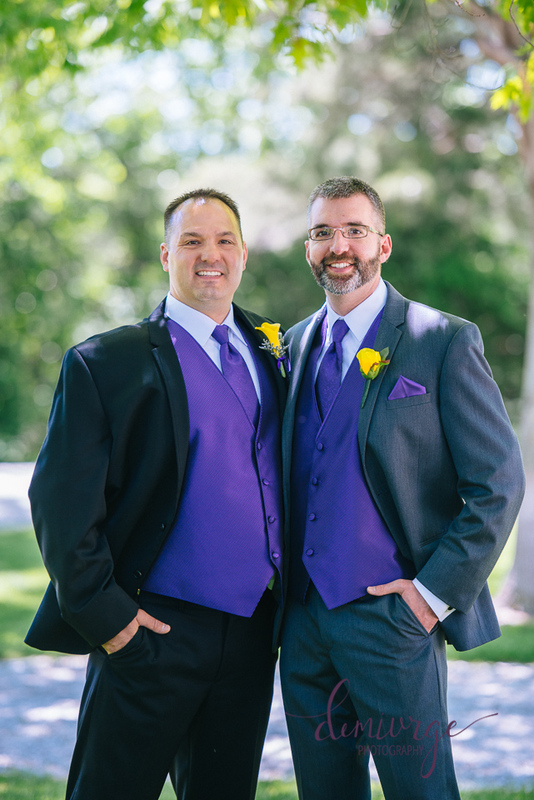 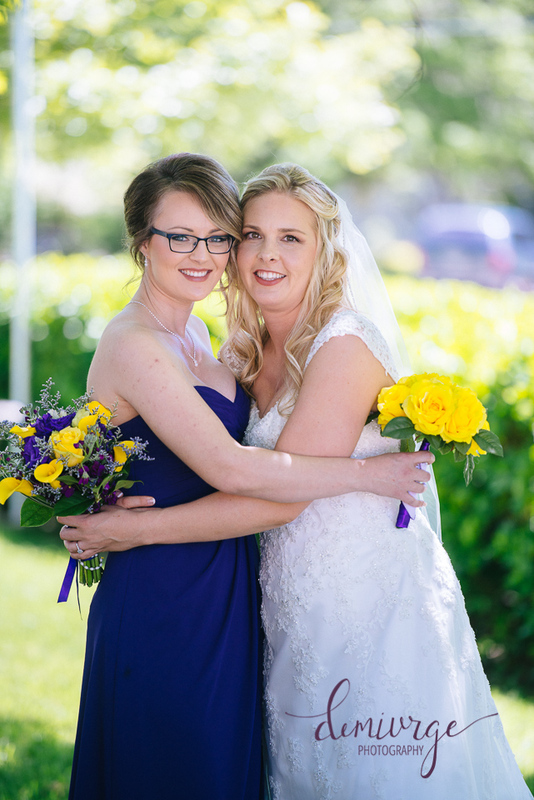 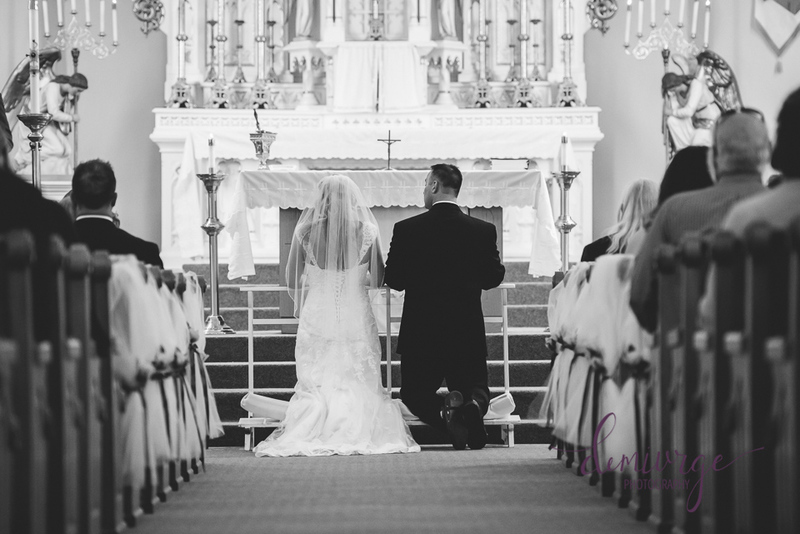 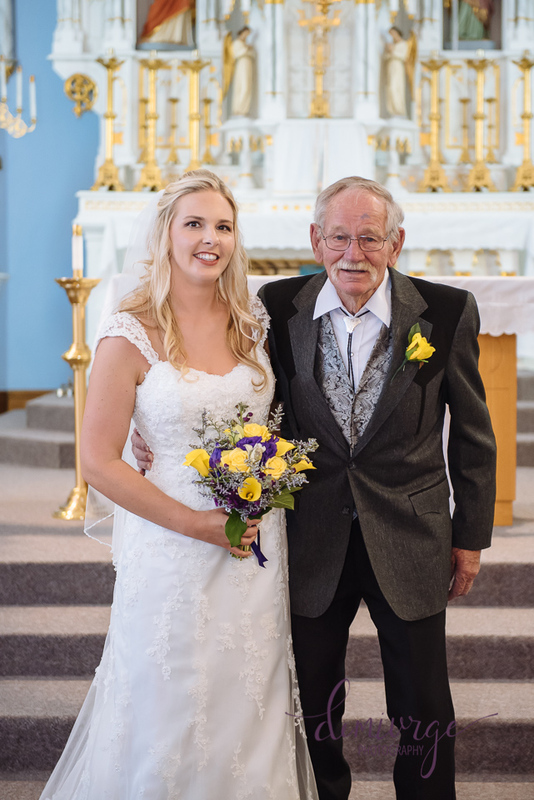 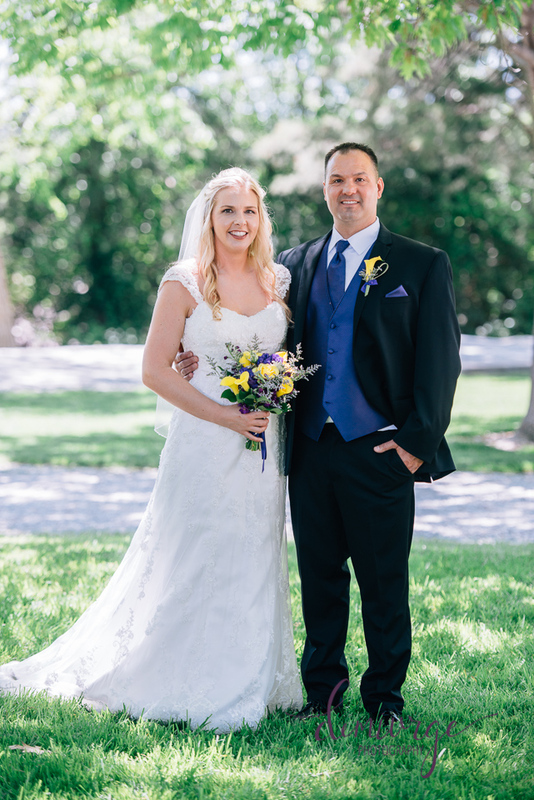 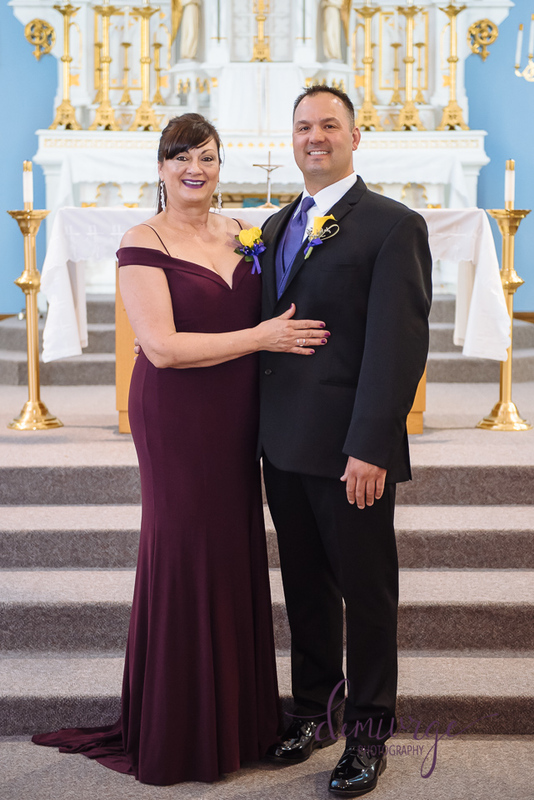 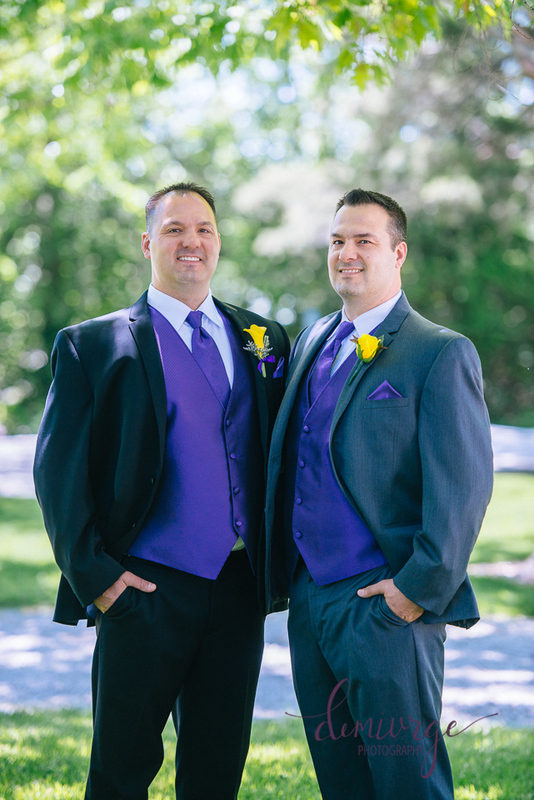 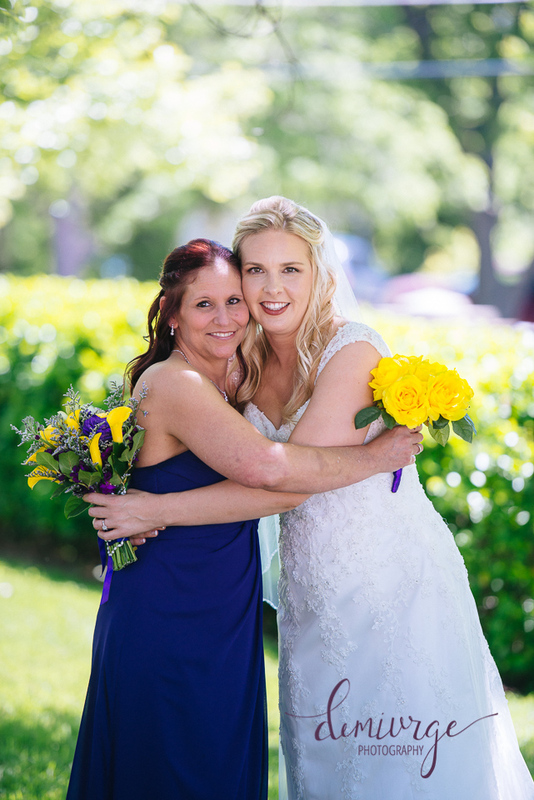 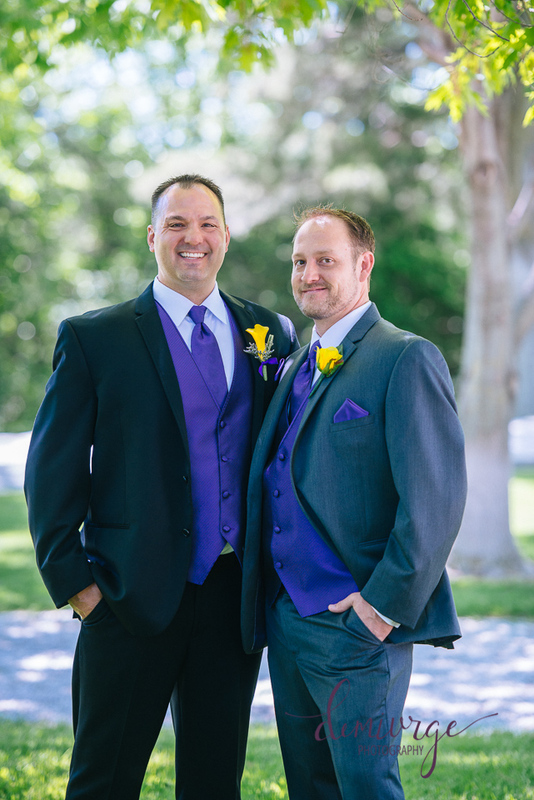 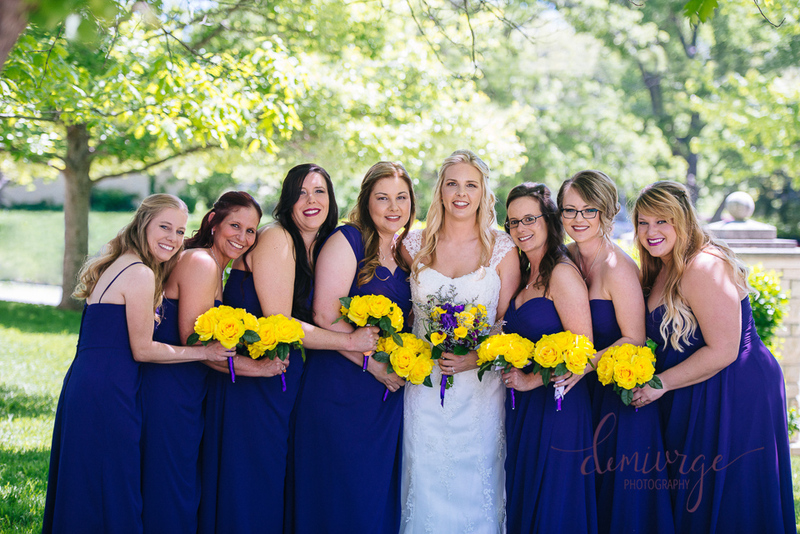 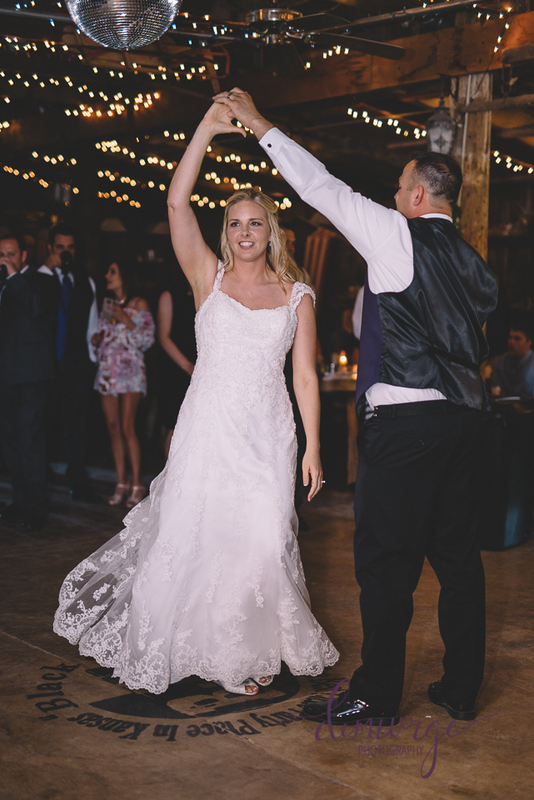 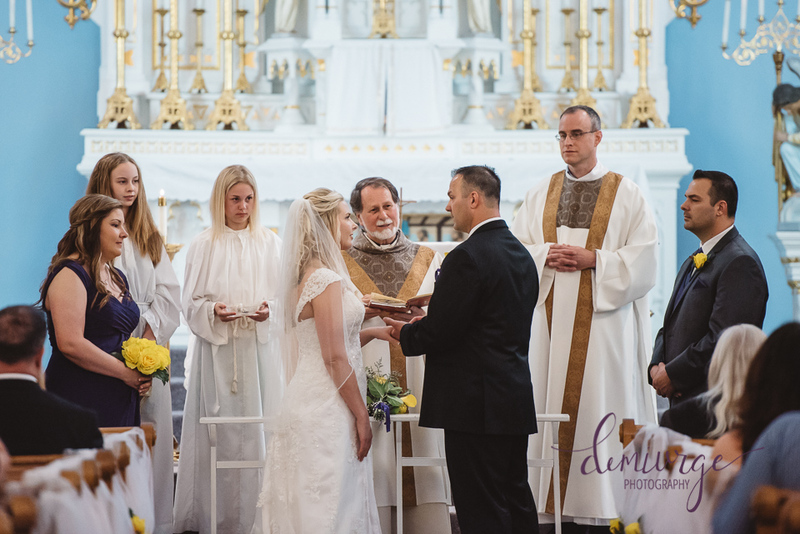 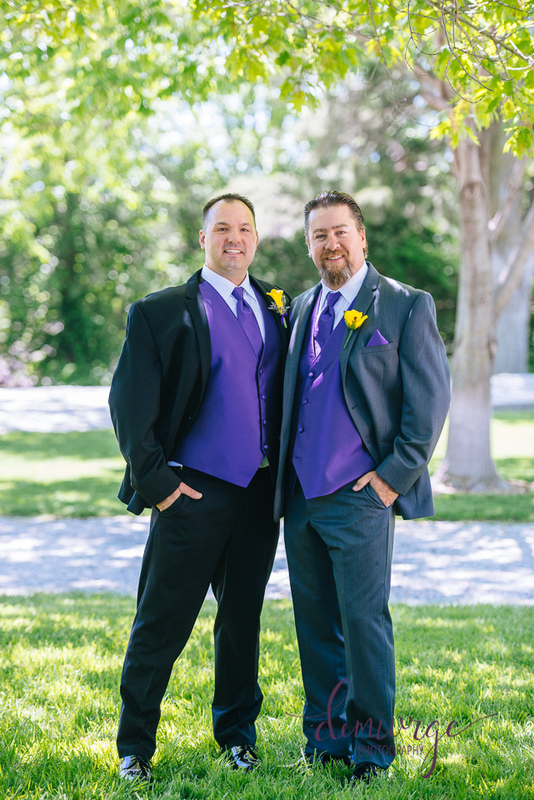 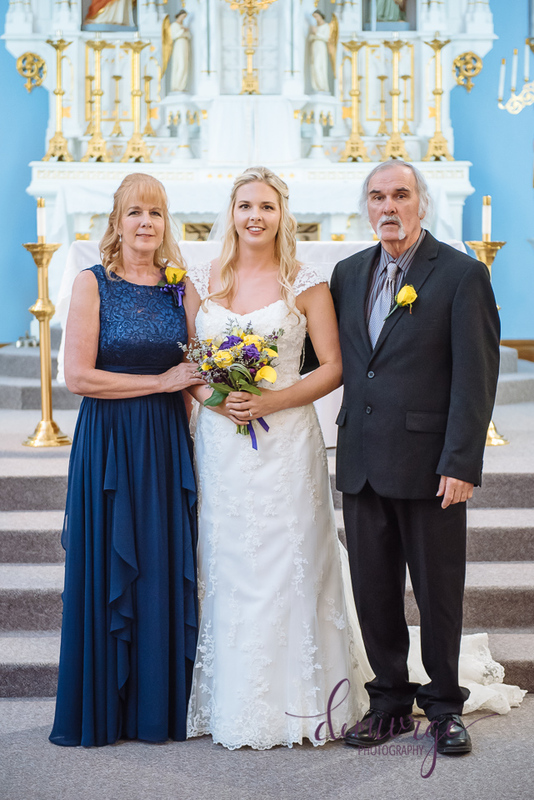 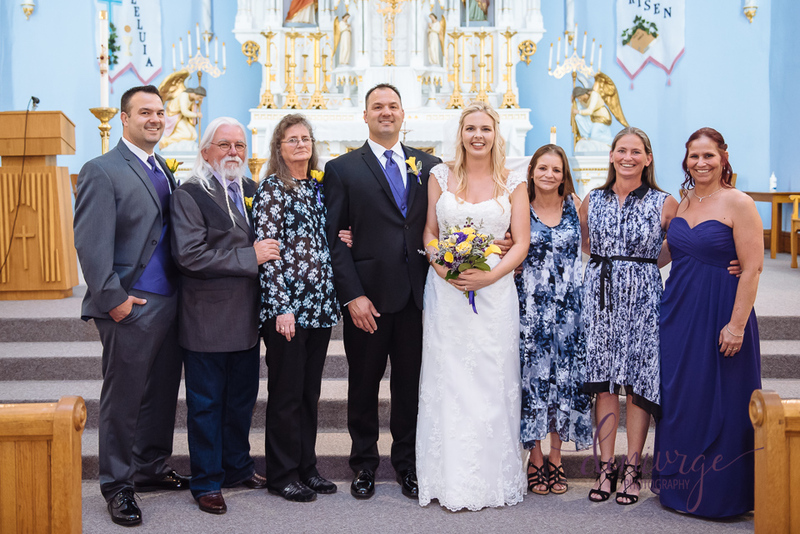 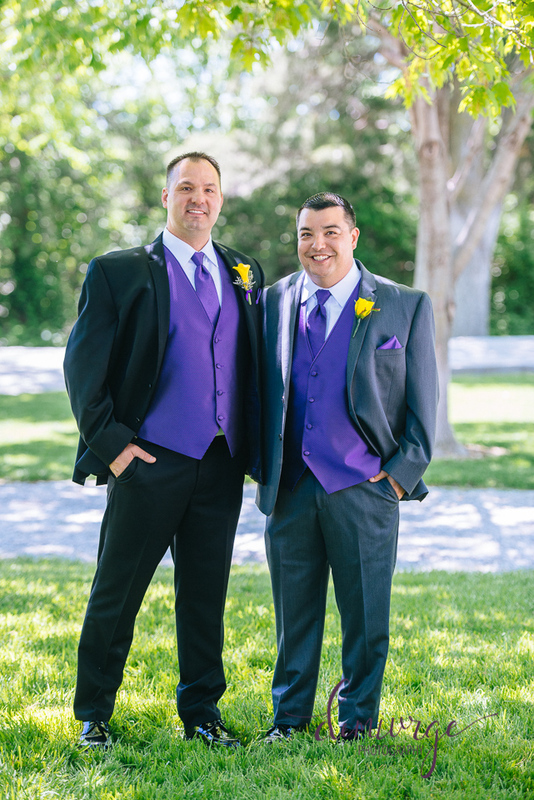 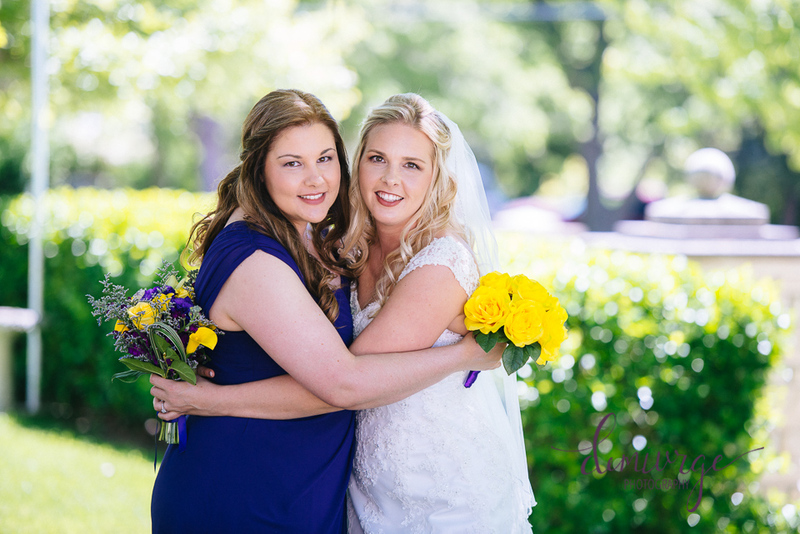 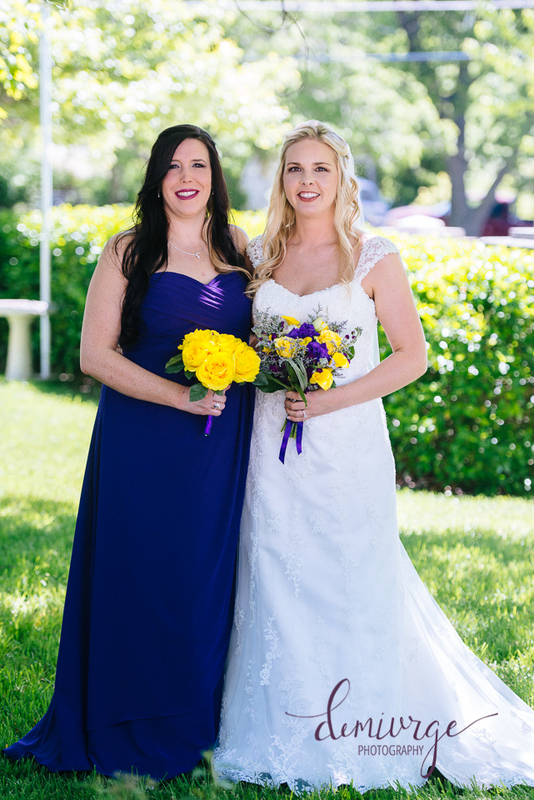 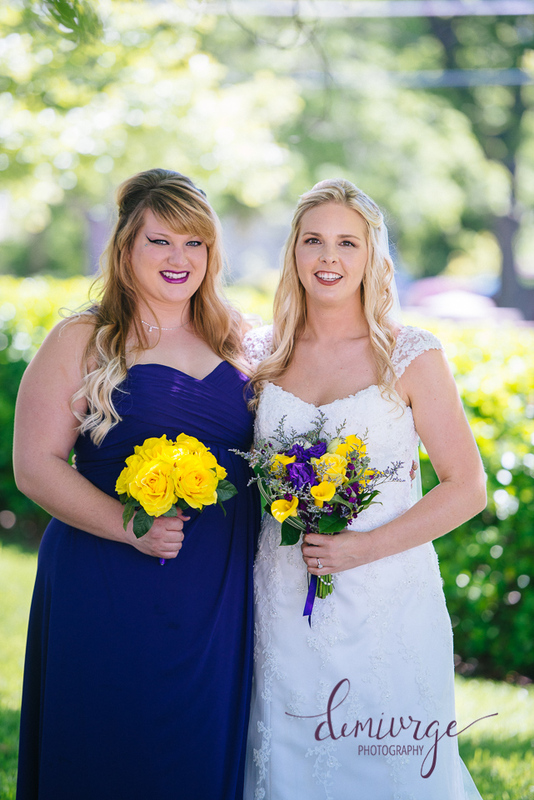 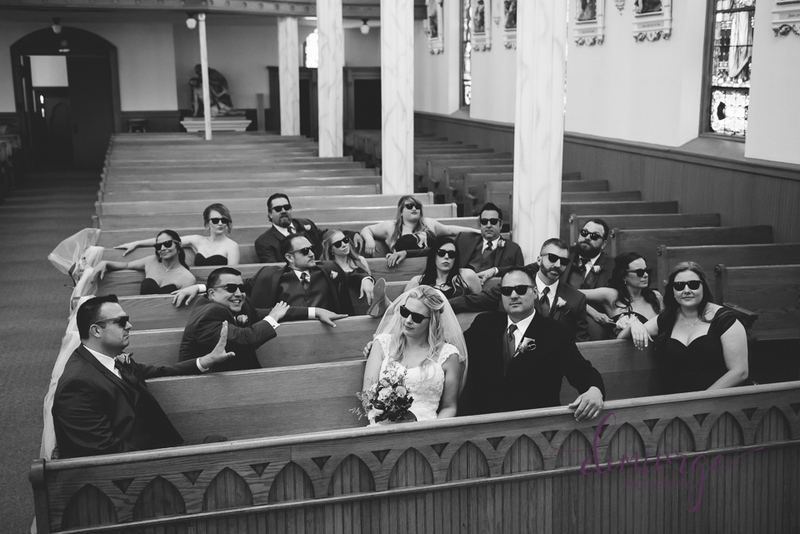 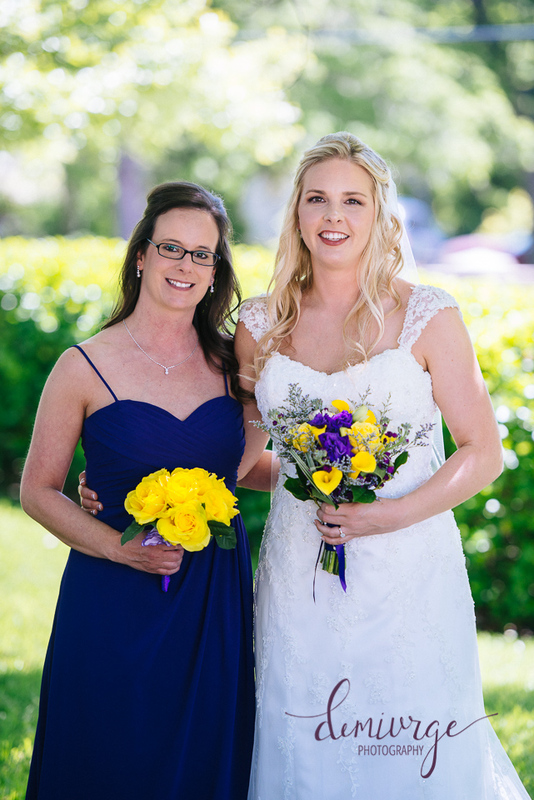 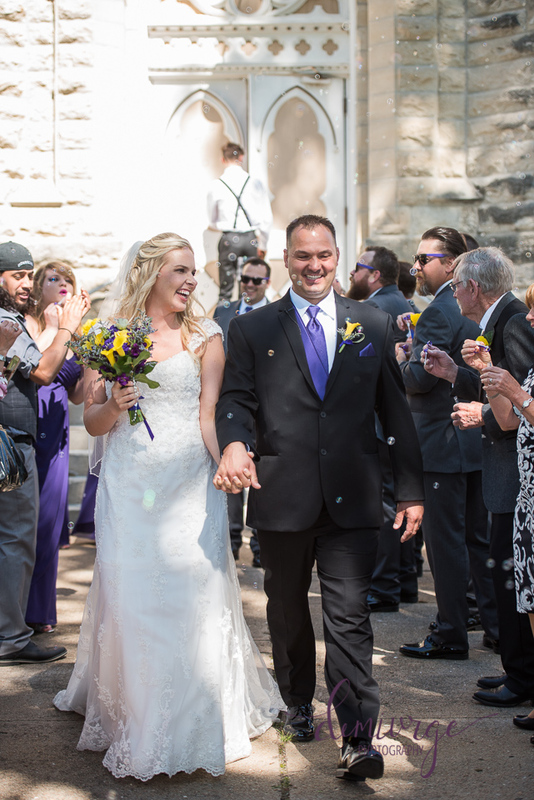 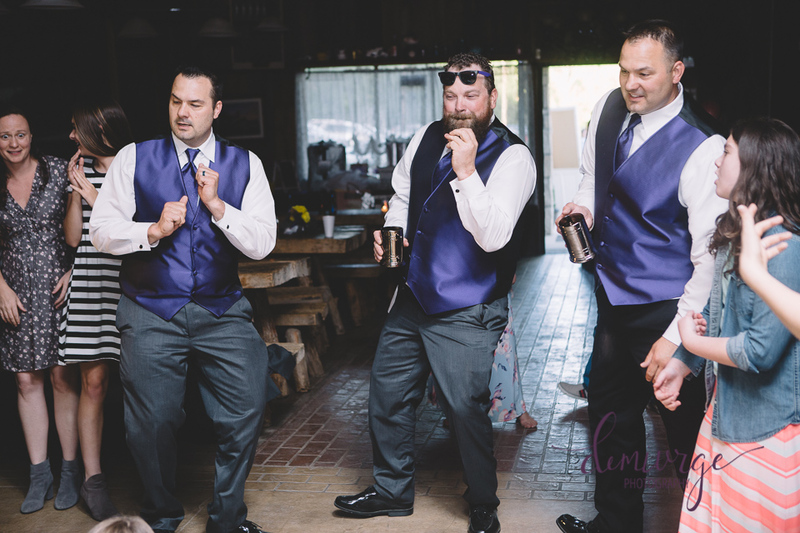 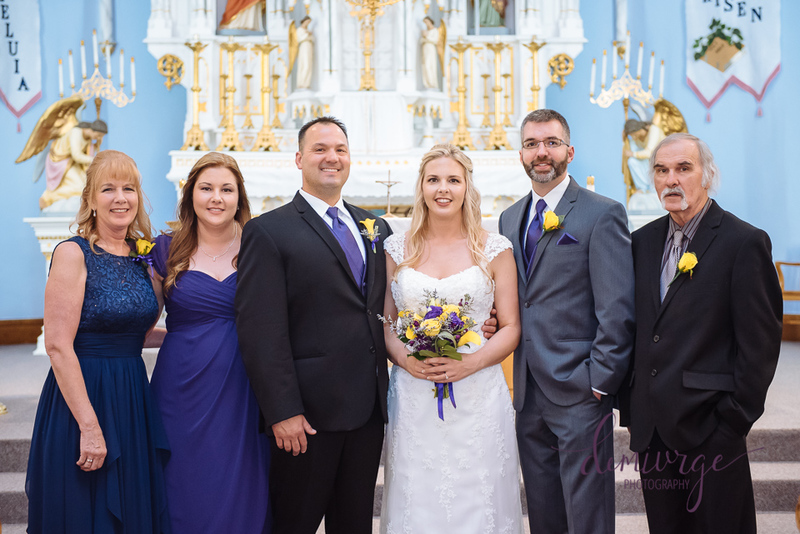 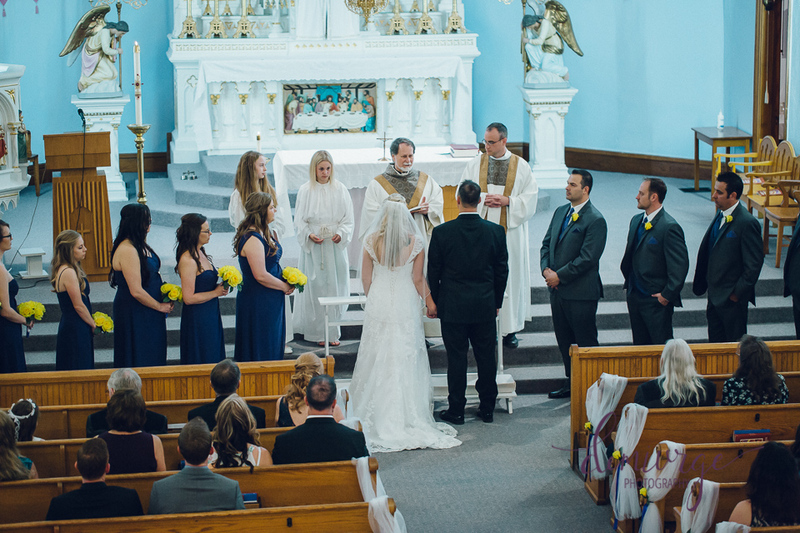 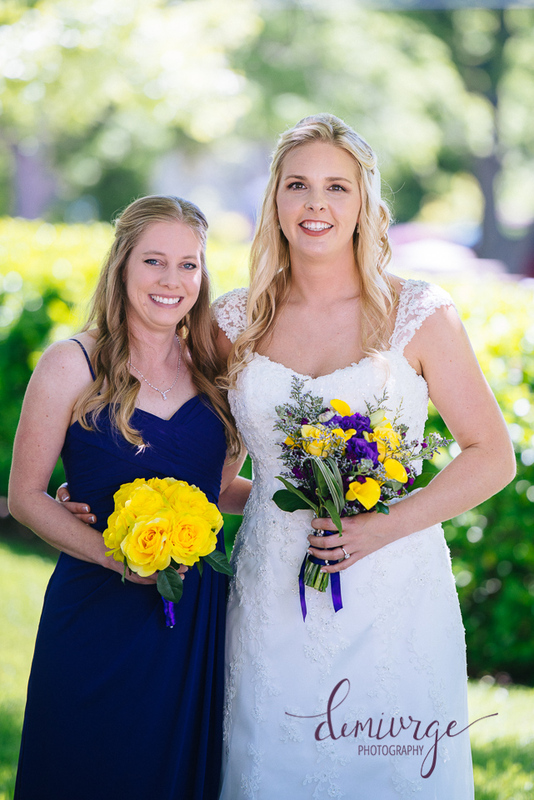 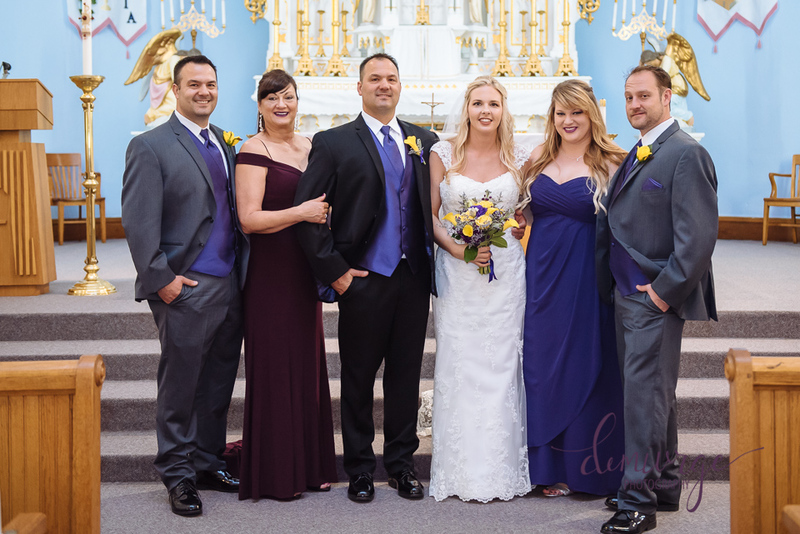 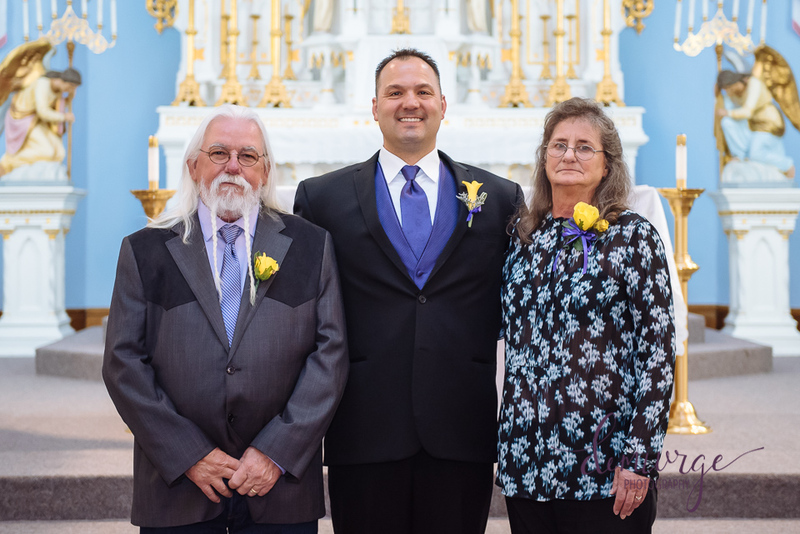 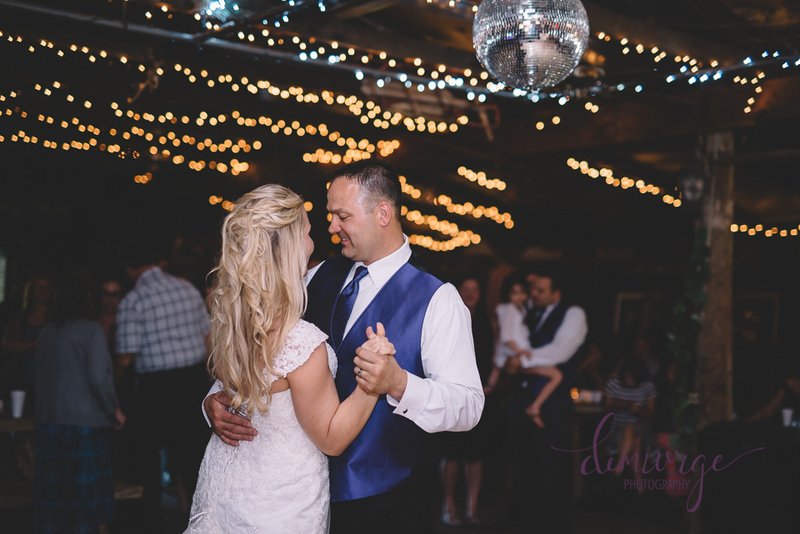 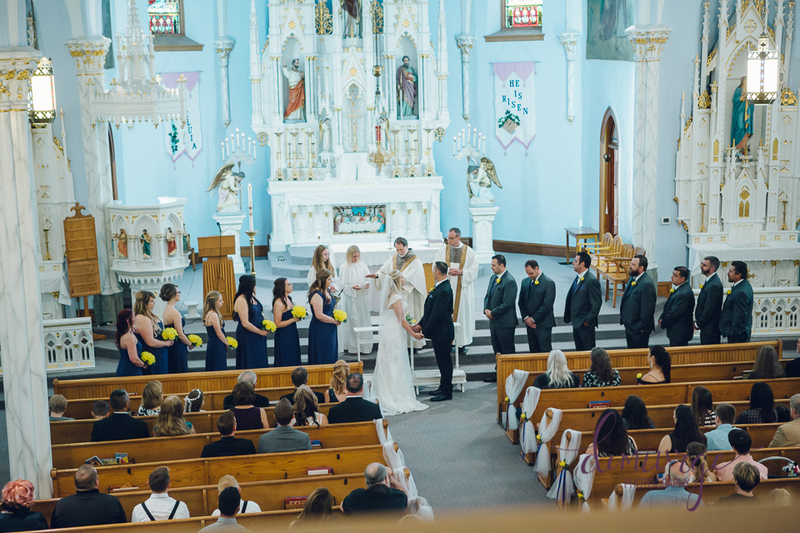 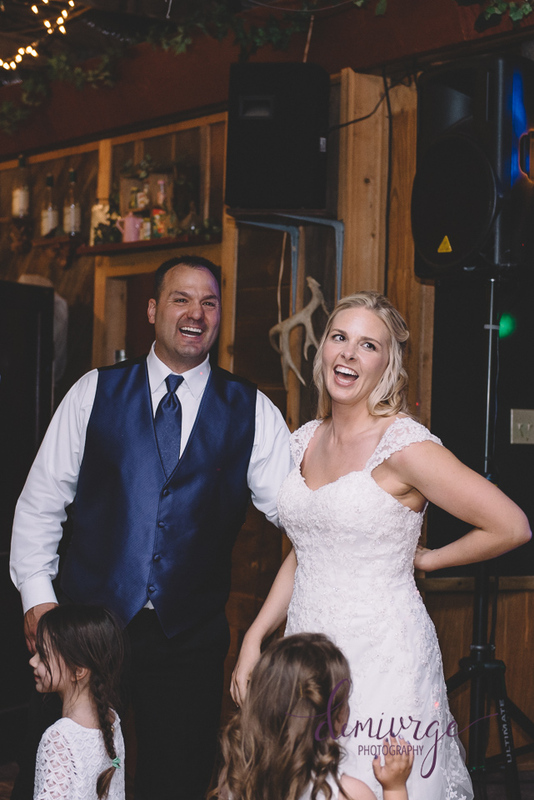 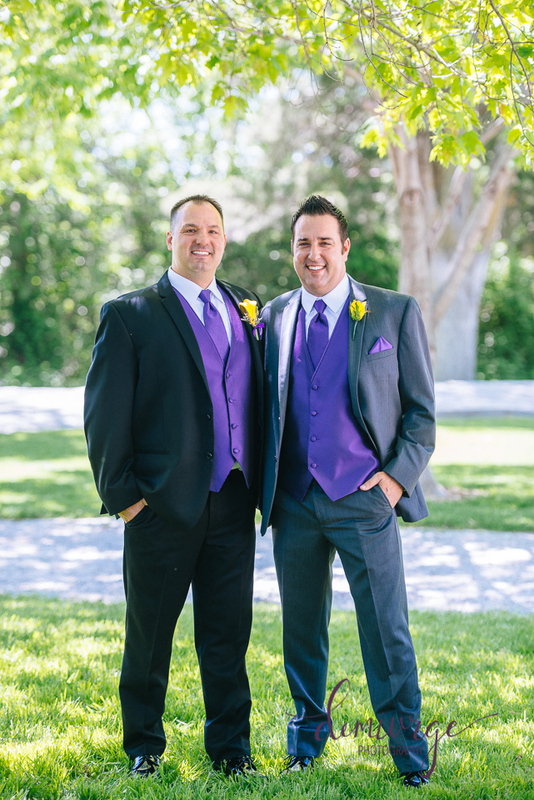 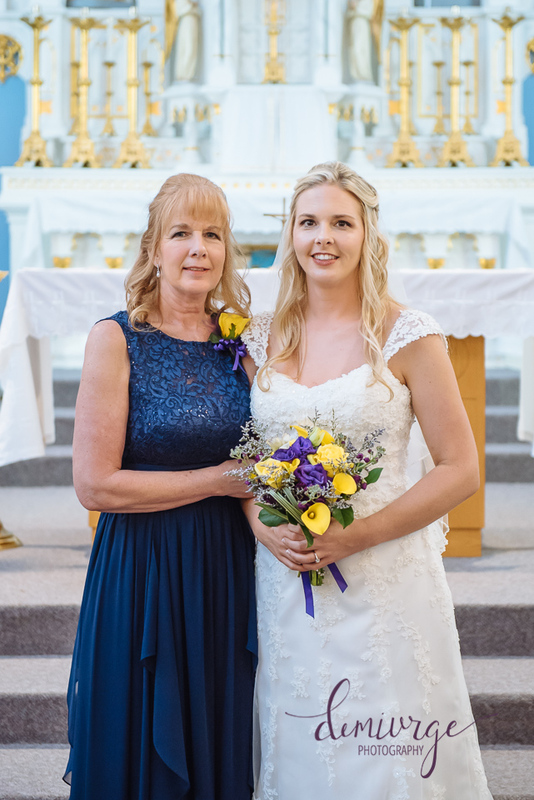 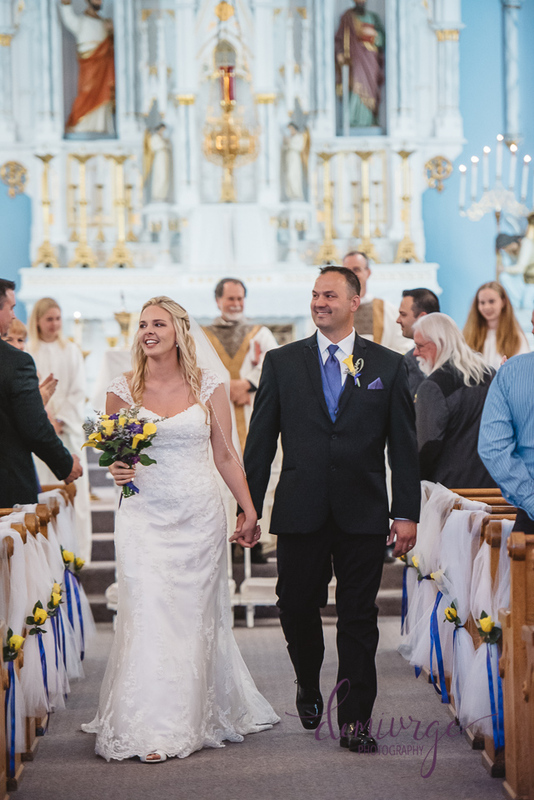 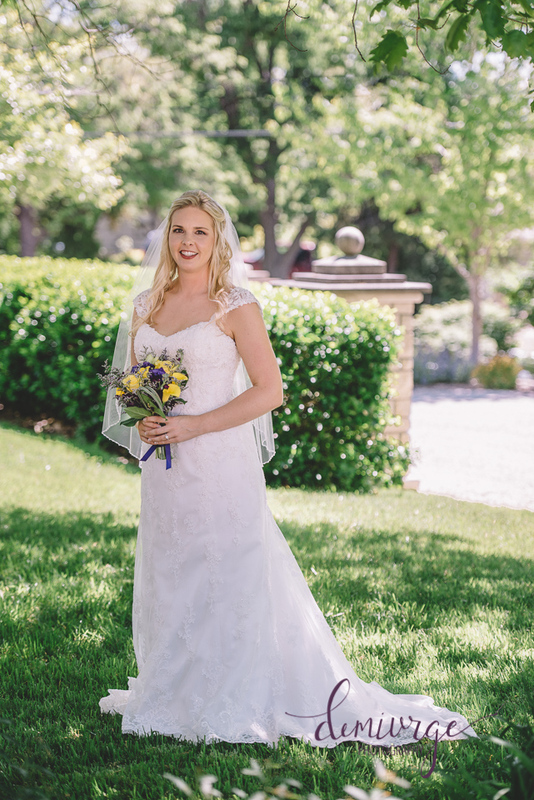 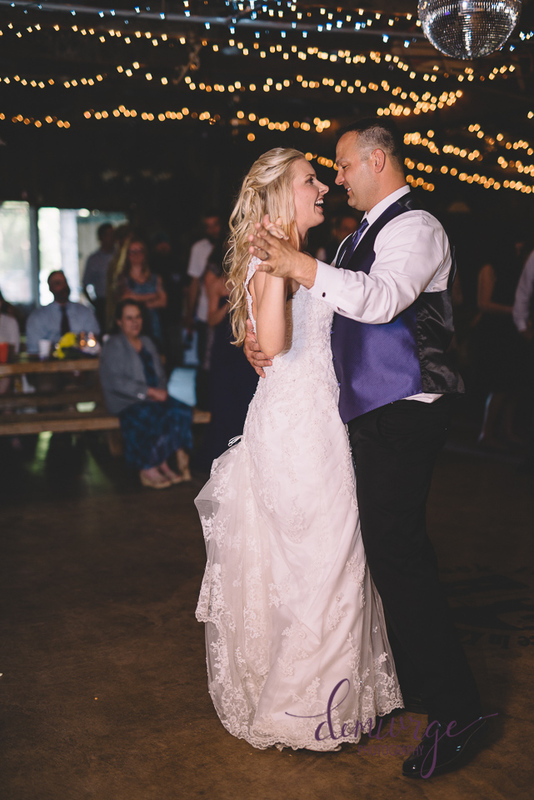 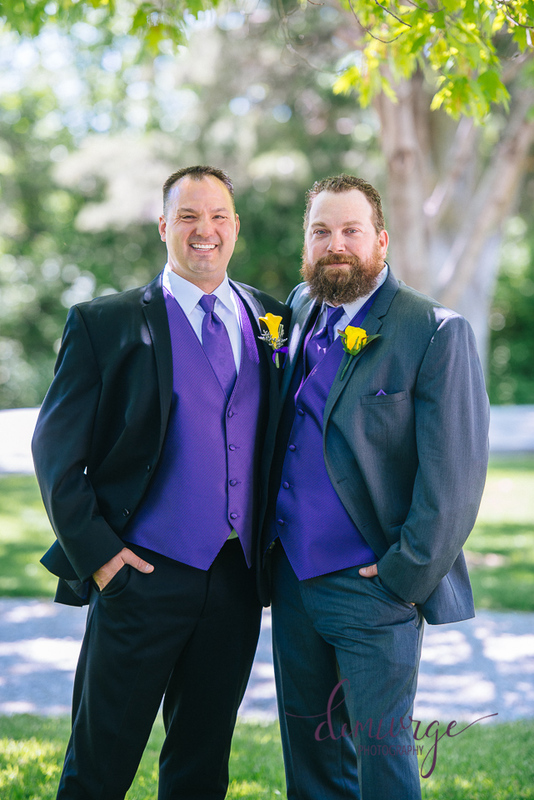 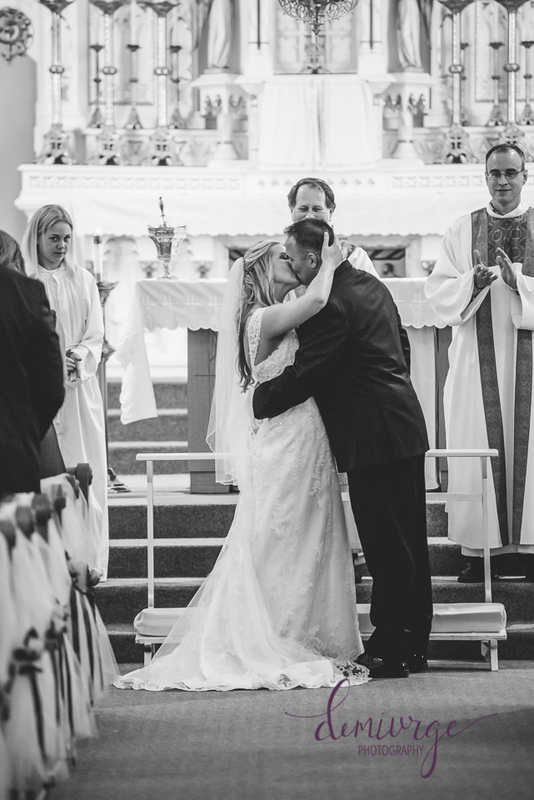 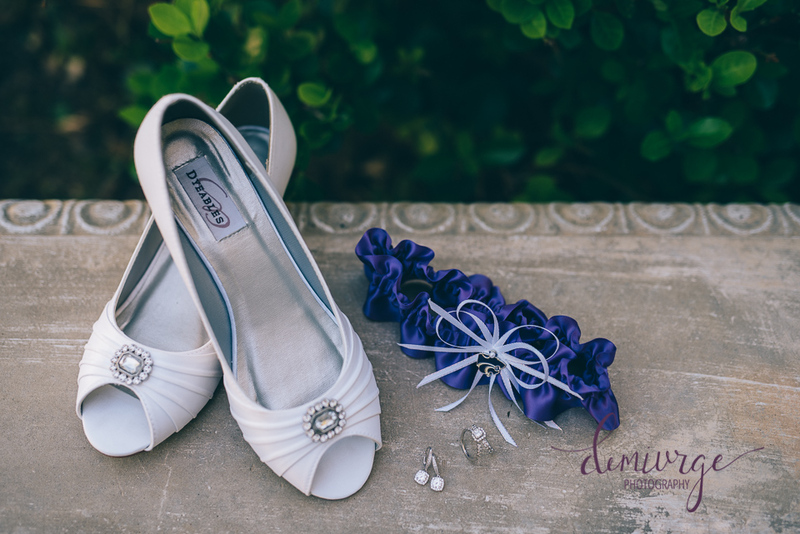 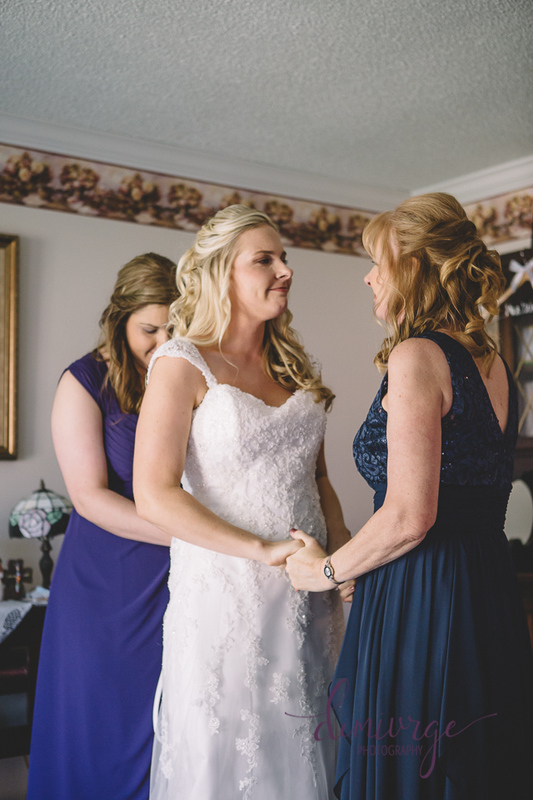 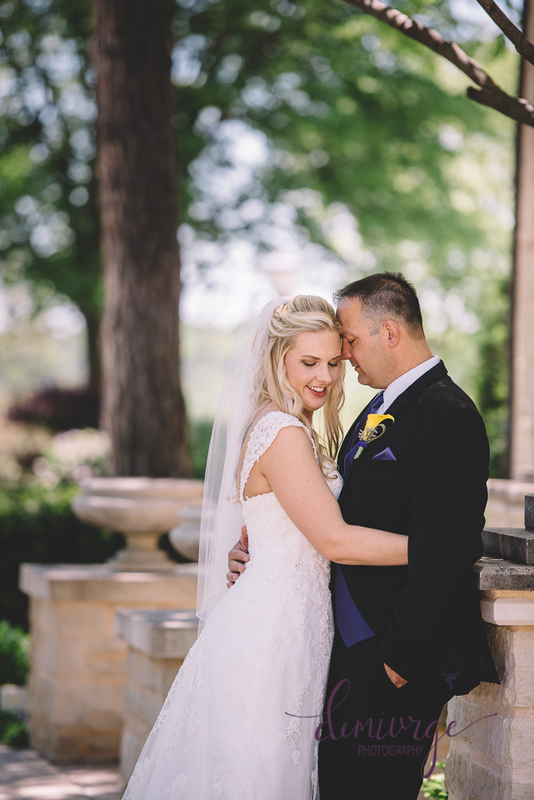 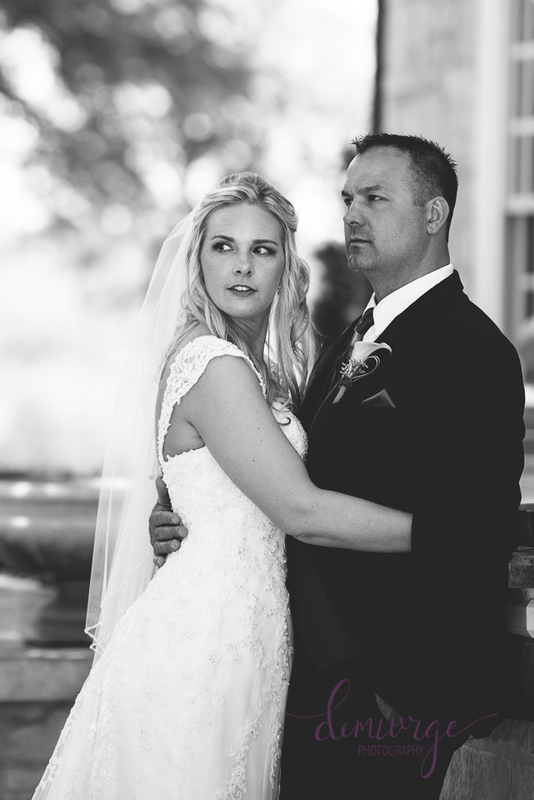 These two celebrated their marriage with a catholic ceremony at St. Joseph’s Catholic Church followed with a reception at Black Jack Hills in St. George, KS. 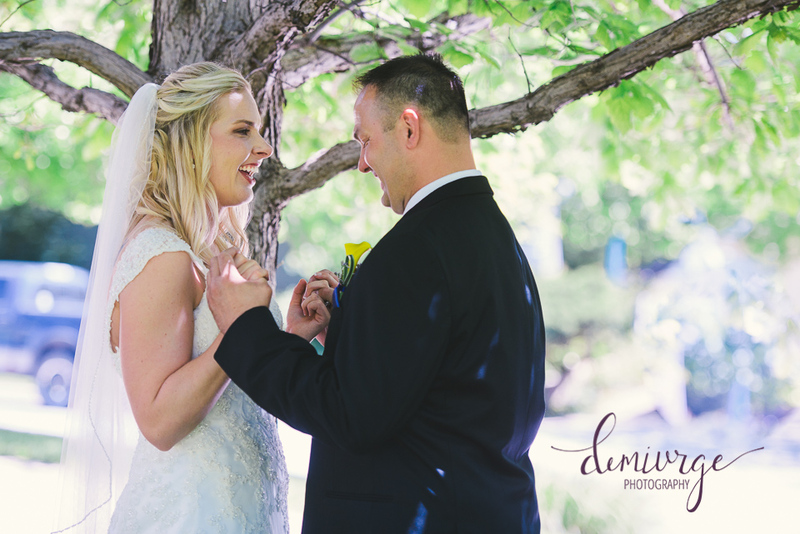 We were outstandingly lucky to have a beautiful and warm spring day for their wedding, which was a welcome change when compared to the weather we had for their engagement session! 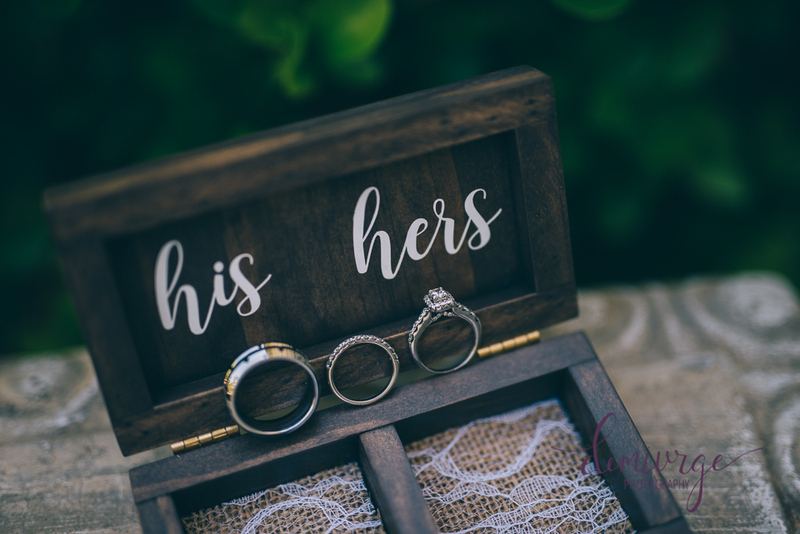 If you haven’t had the change to read their love story and see their engagement photos, you can see them HERE! 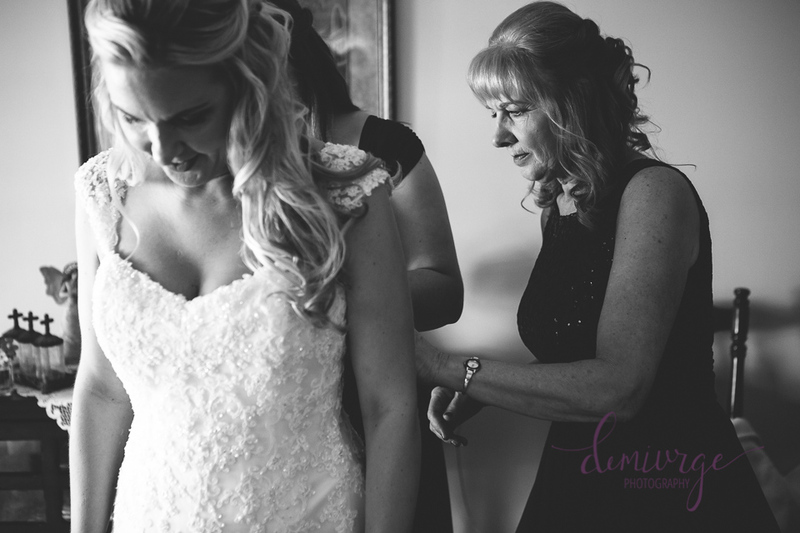 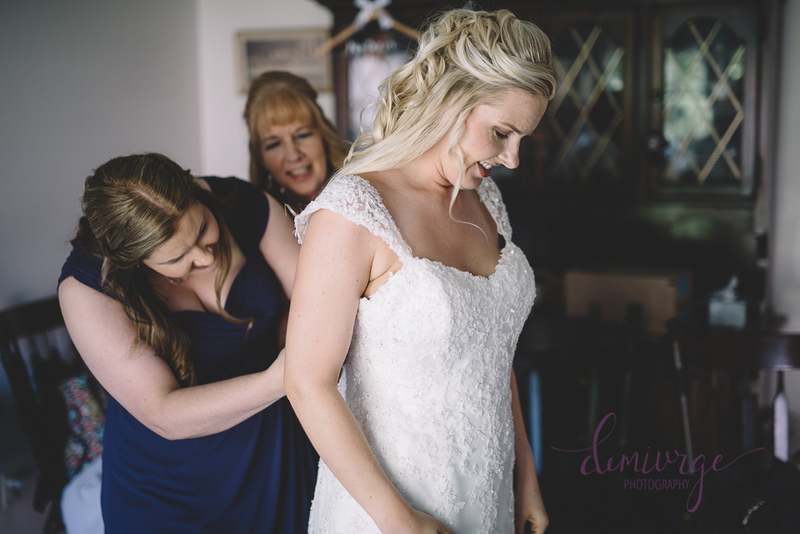 Andre+Vicki’s wedding day began with ladies getting hair and make-up done at a local salon, then heading back to Vicki’s childhood home to finish getting ready. 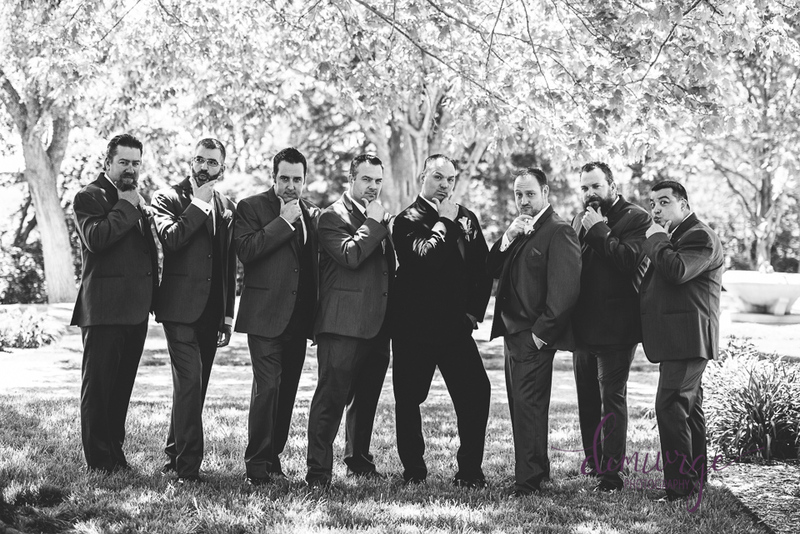 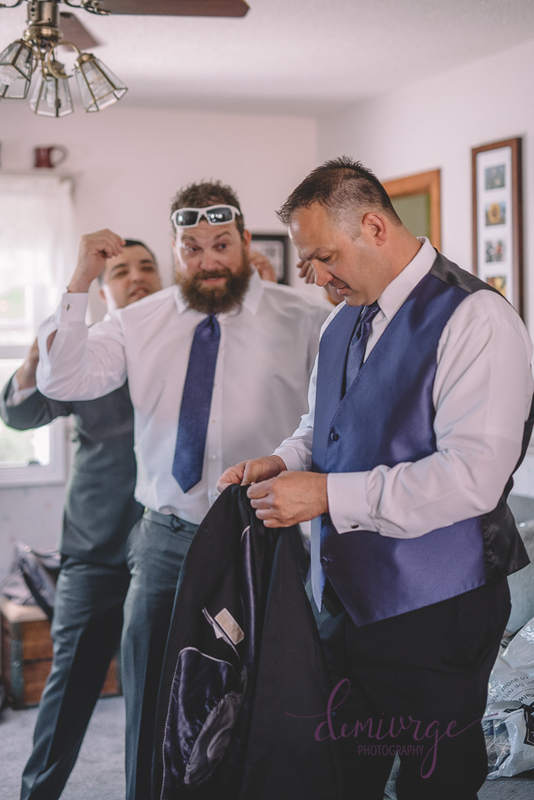 The men also arrived at the house to eat lunch and get dressed, and keeping them from seeing each other was a hilarious act that everyone helped with! 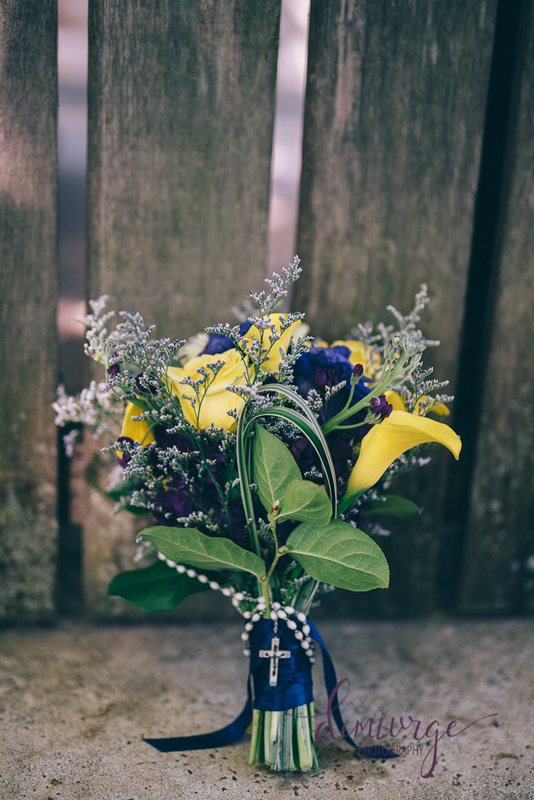 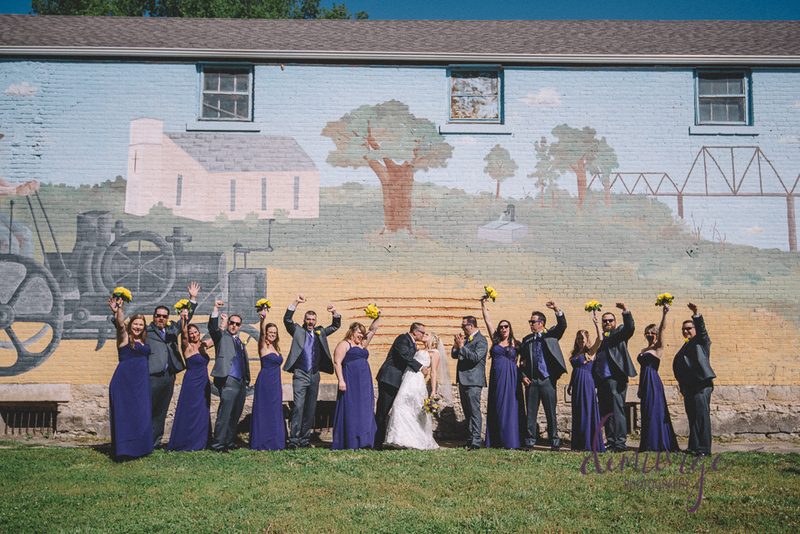 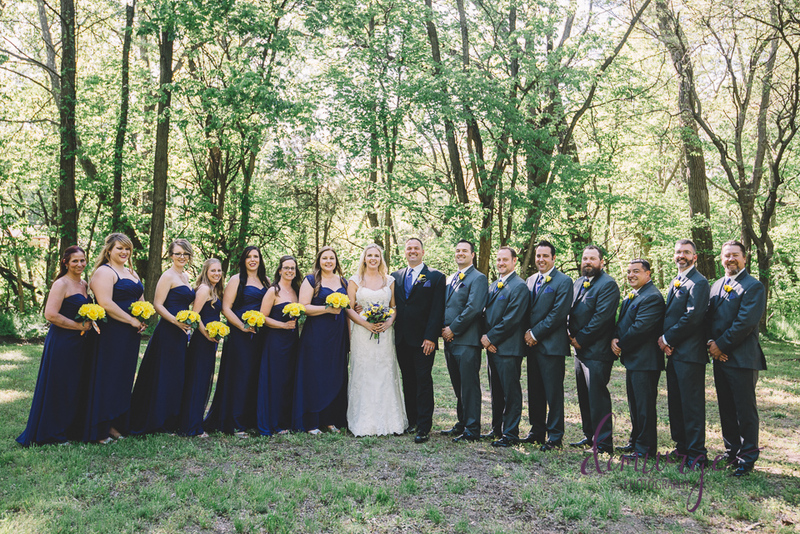 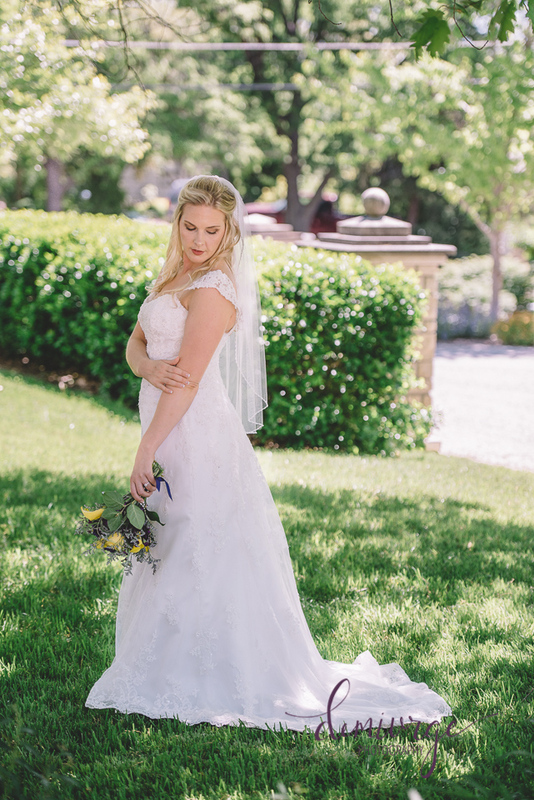 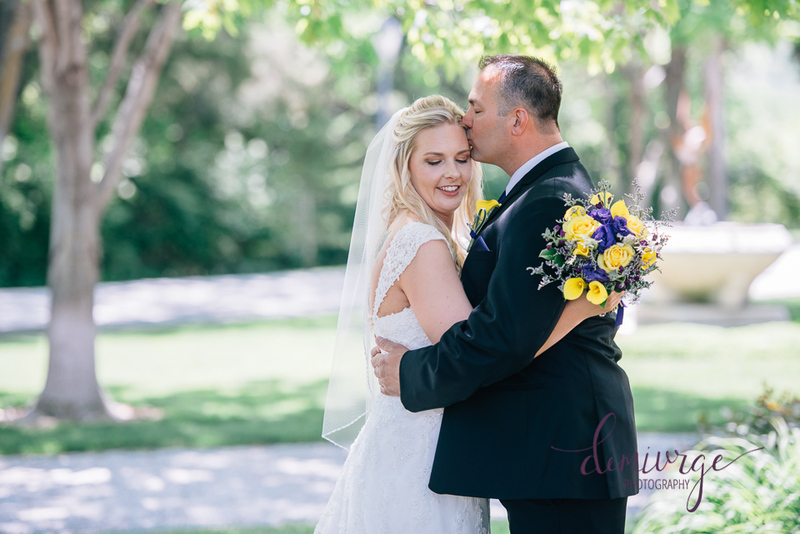 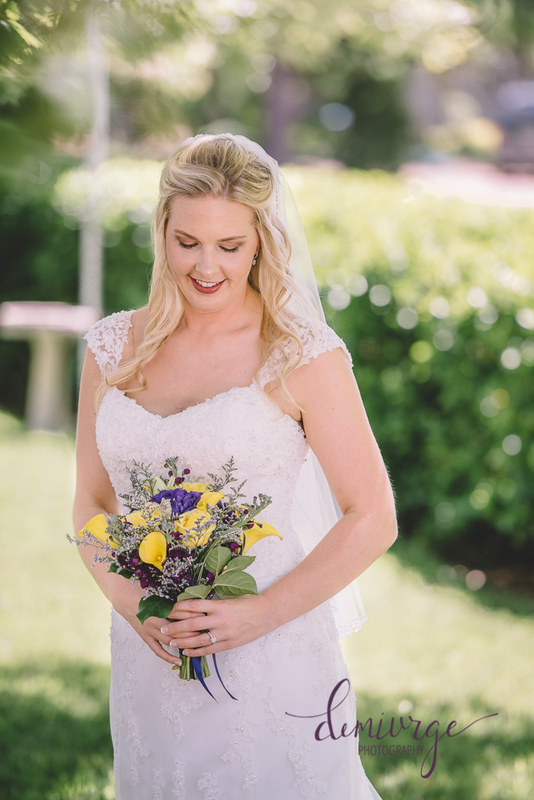 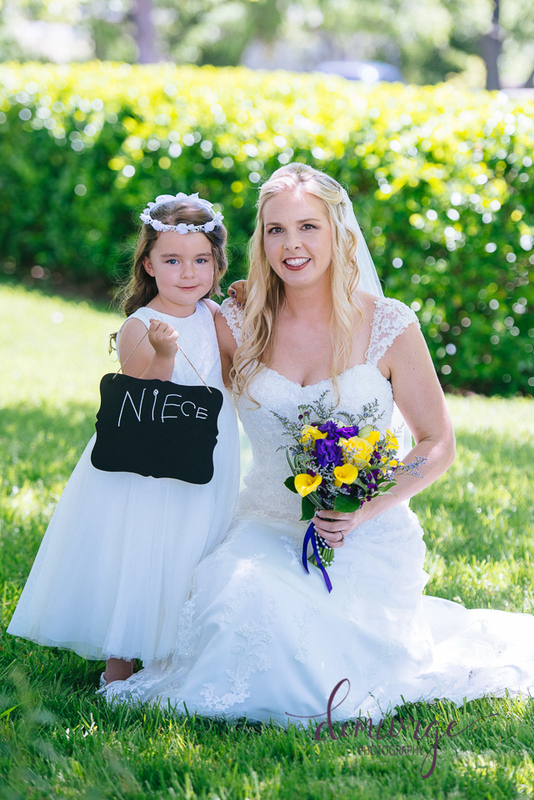 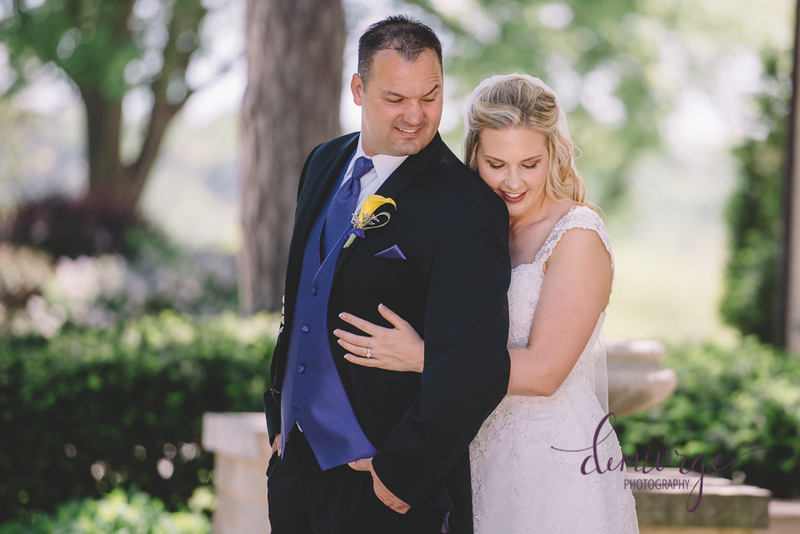 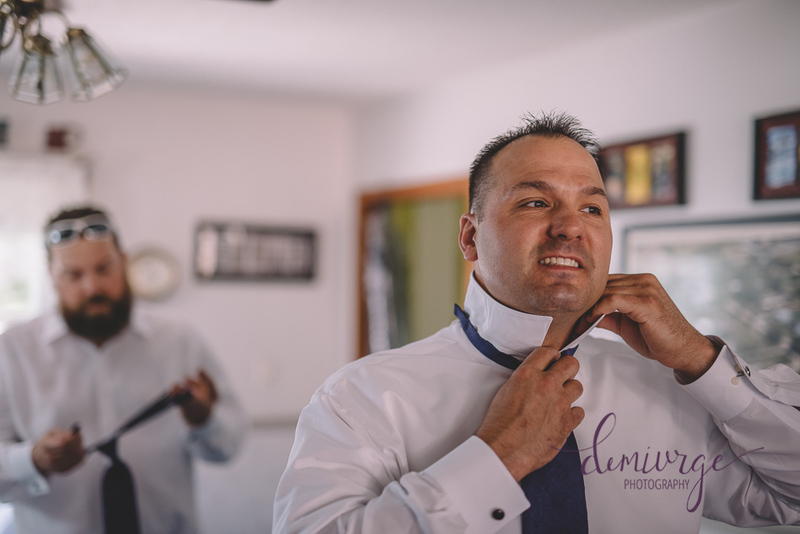 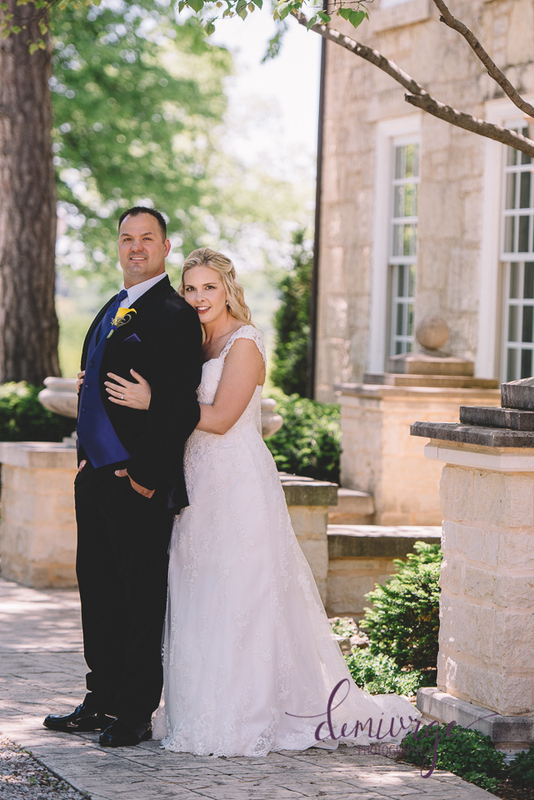 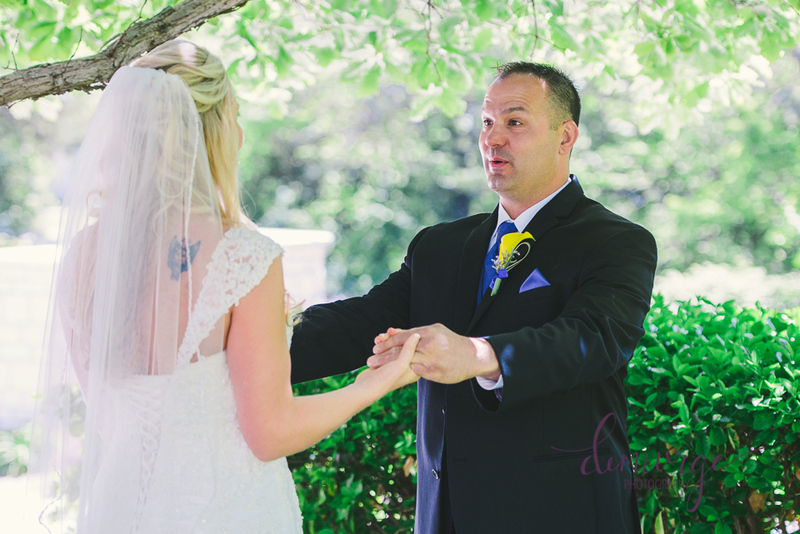 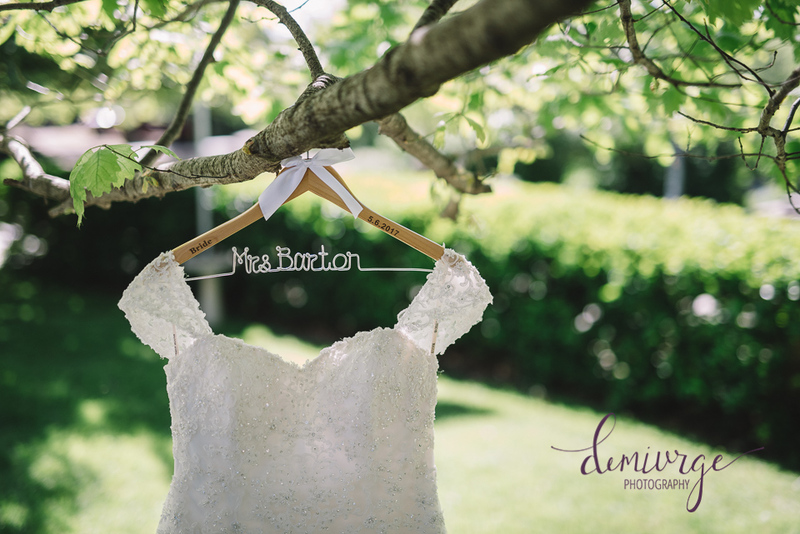 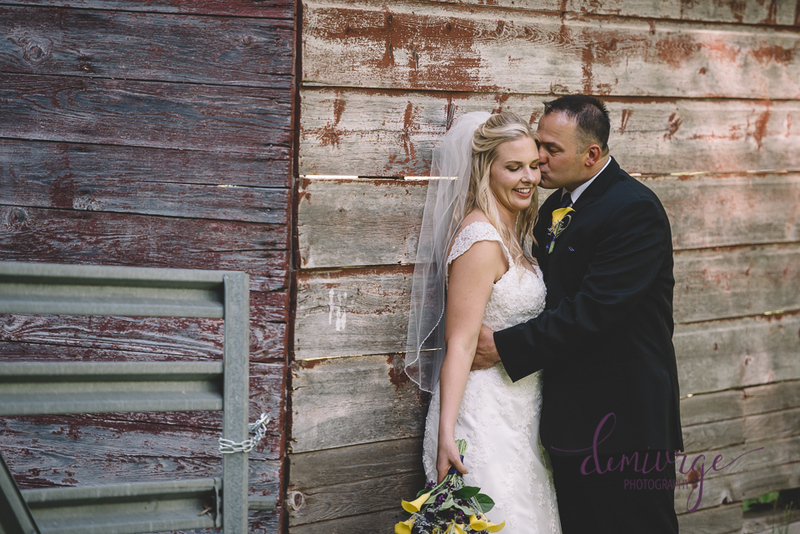 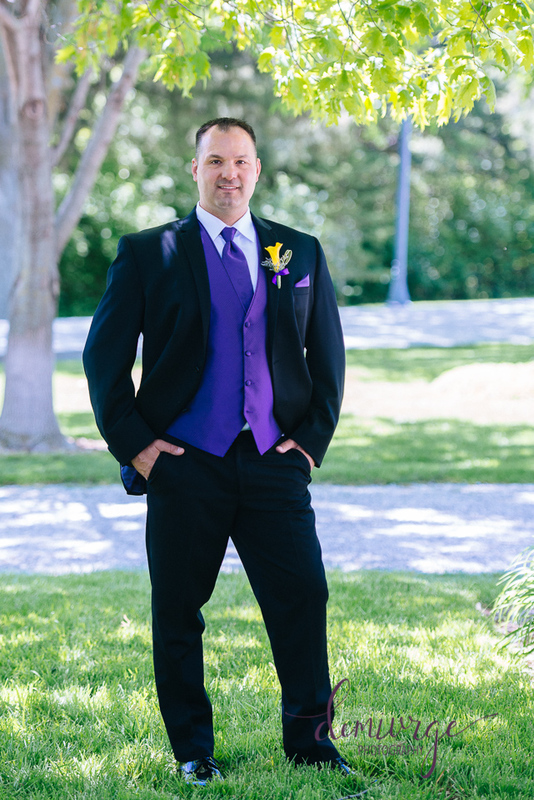 Andre and Vicki’s first look took place in the front yard of Vicki’s childhood home and after they had a few moments together, we snuck in a few bride and groom portraits in the gorgeous landscaping before heading to the church for family formal photos and the ceremony! 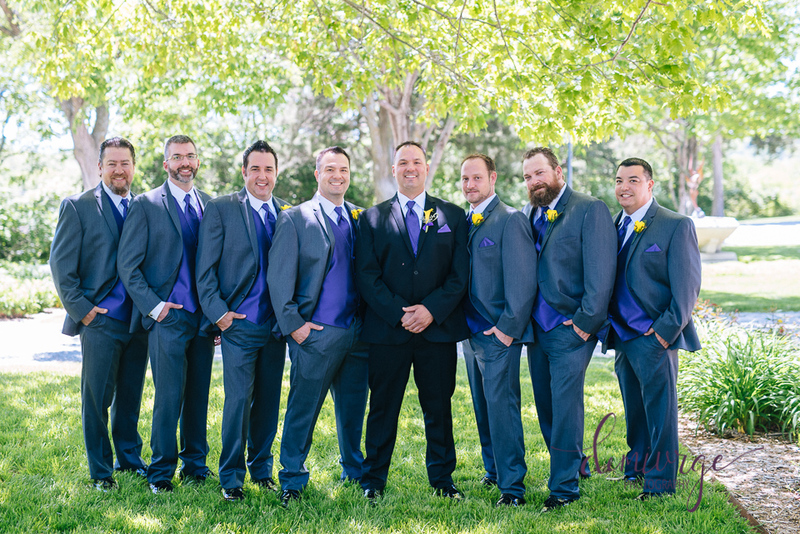 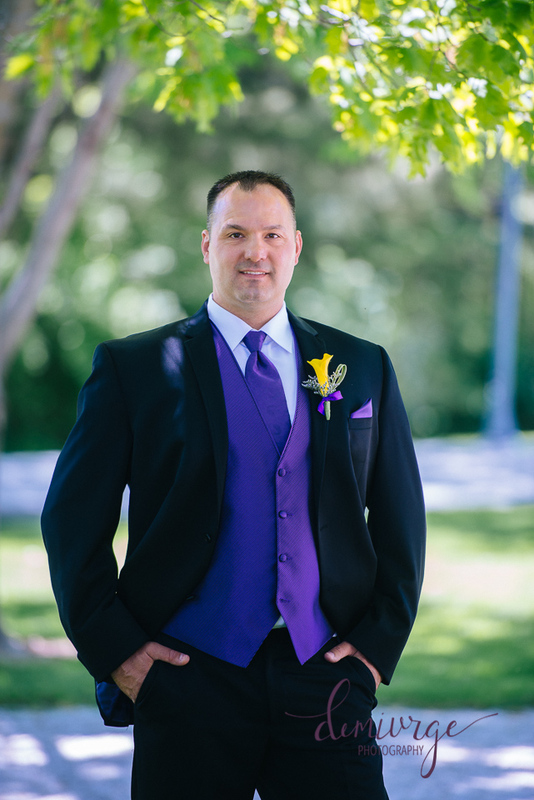 After the ceremony, the wedding party loaded up into the Hummer Limo, and we headed into St. George for a few wedding park photos, and of course a few more bride and groom photos! 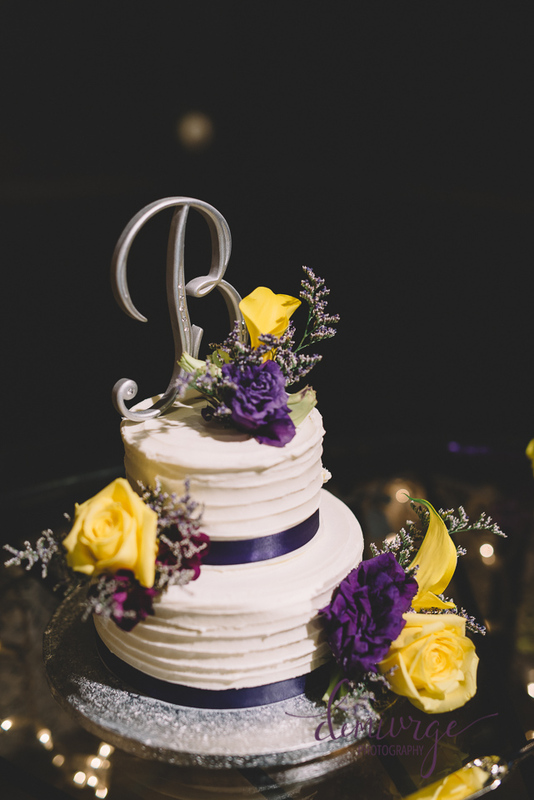 We arrived at their reception at Black Jack Hills where Vicki had the cutest details and decorations! 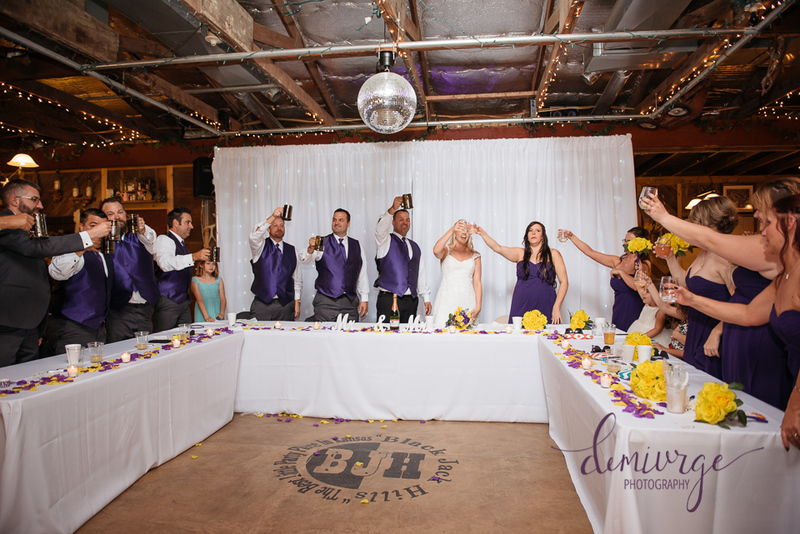 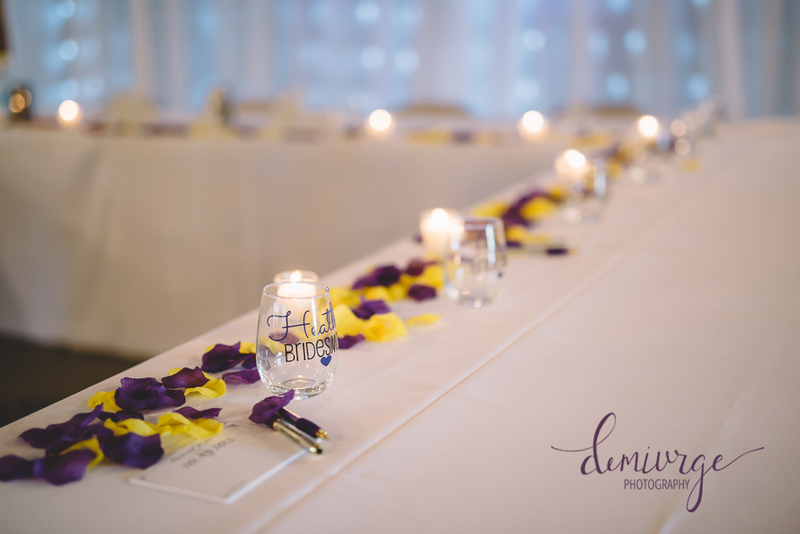 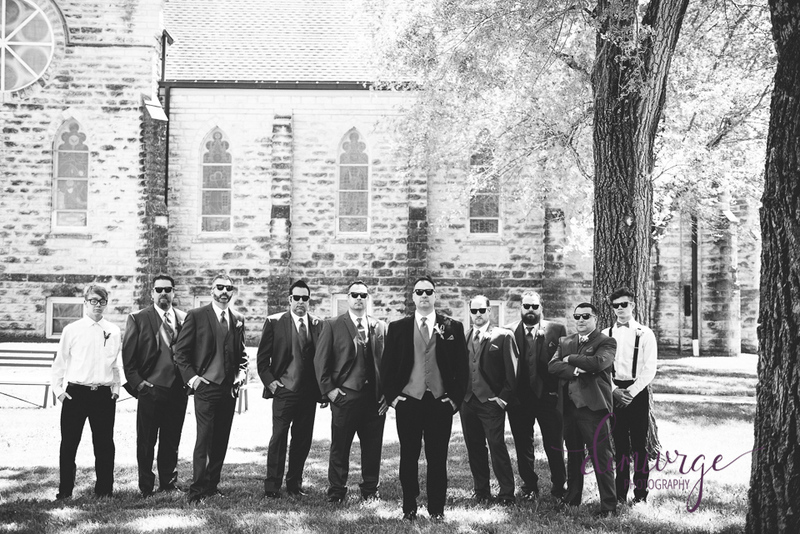 My favorite were the personalized wine glasses for the bridesmaids and engraved beer mugs for the groomsmen. 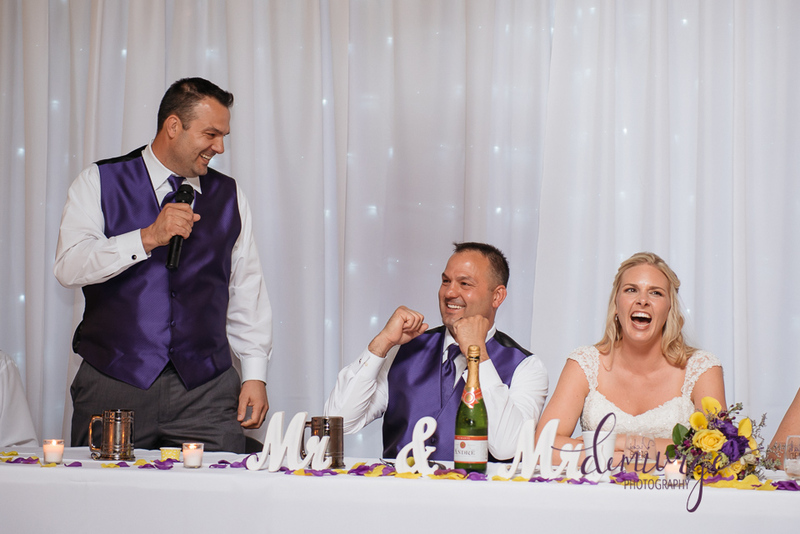 Everyone enjoyed supper, catered by Black Jack Hills, then laughed through the absolutely hilarious toasts, and enjoyed witnessing Andre and Vicki’s first dance as bride and groom. 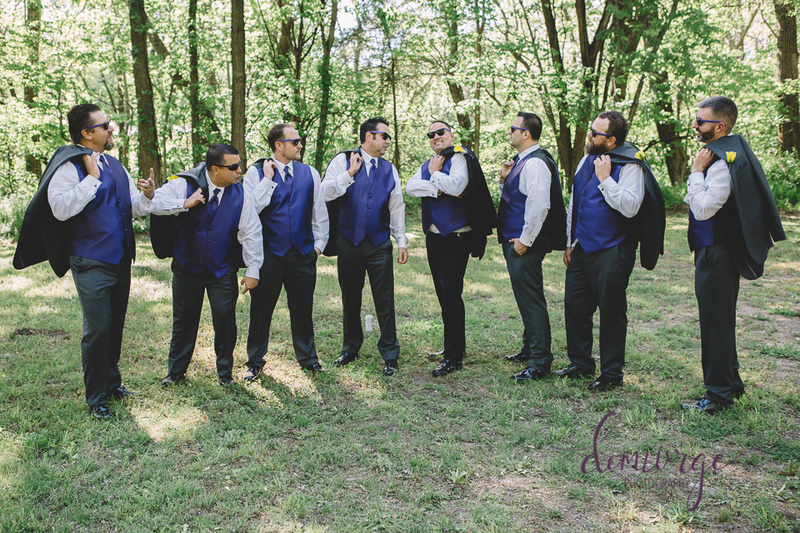 The reception was off to a great start, but Vicki had a HUGE surprise for Andre. 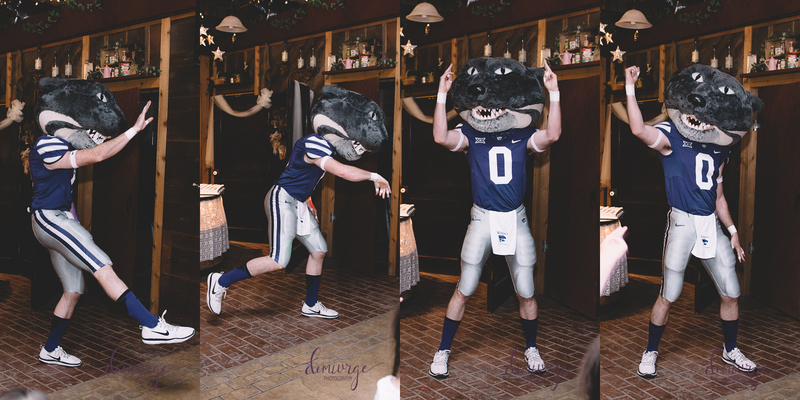 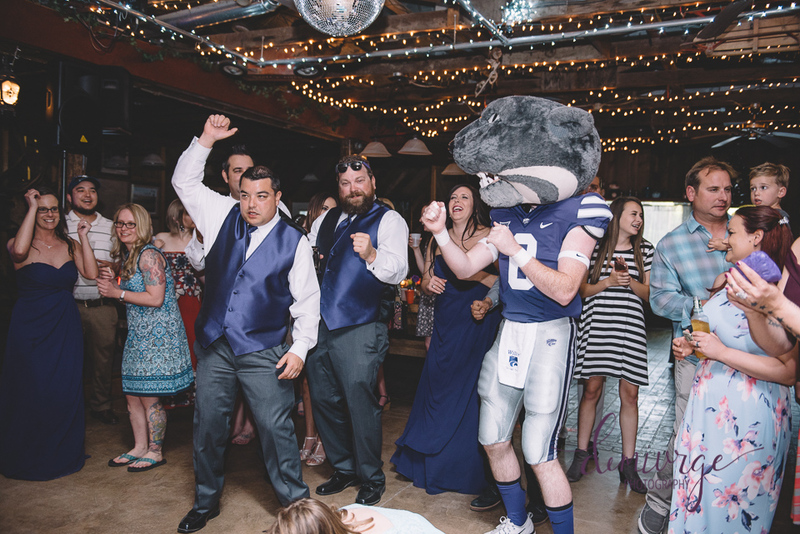 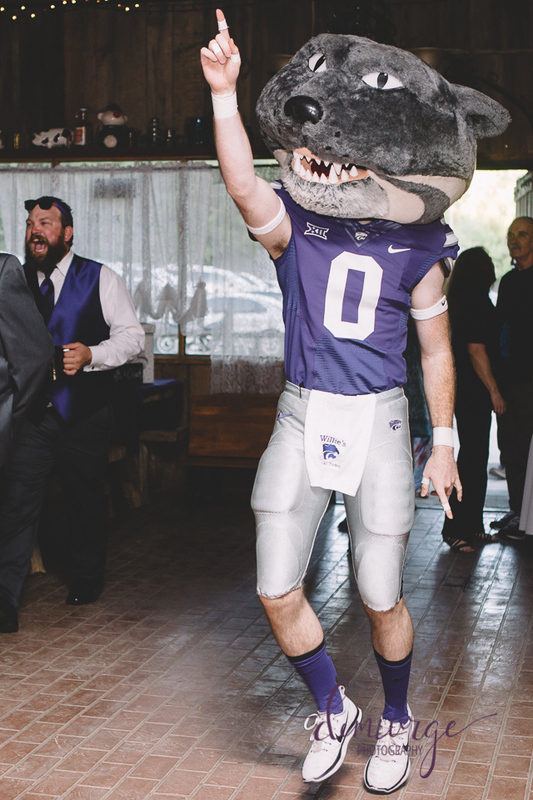 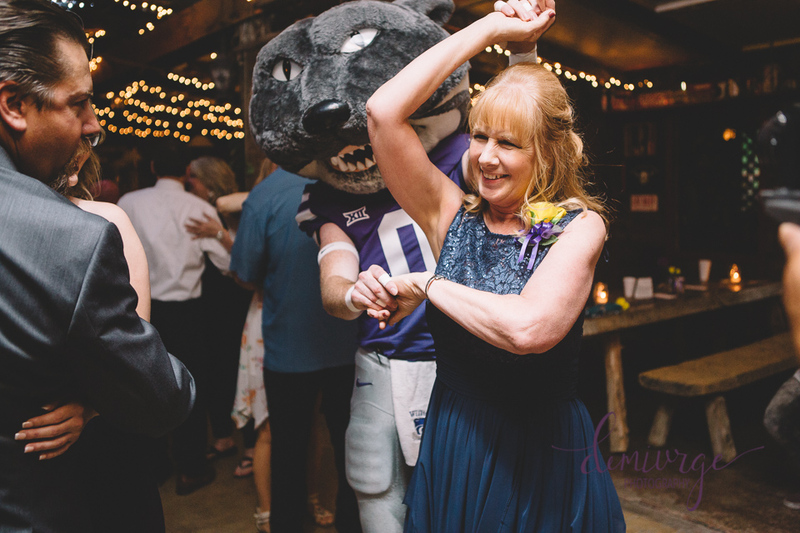 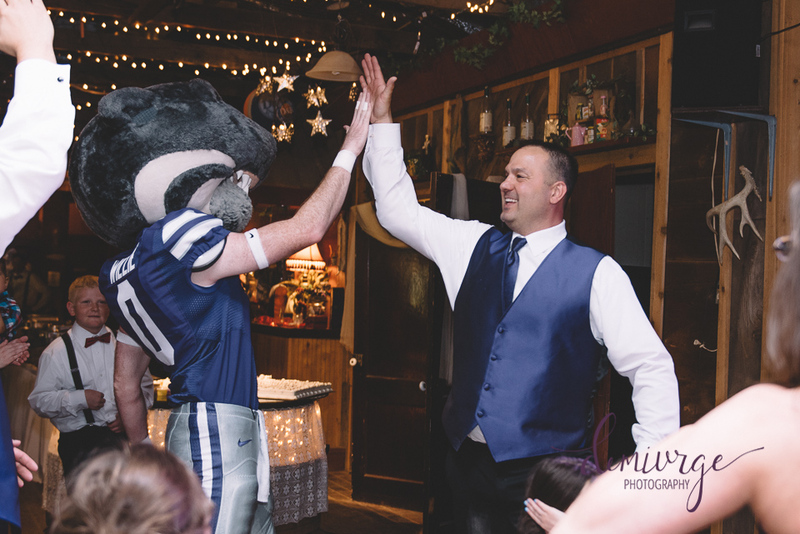 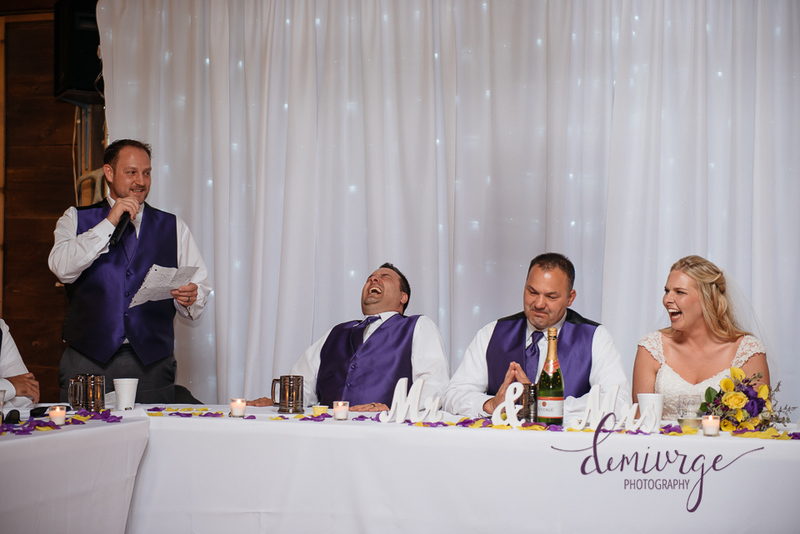 You see, he is an avid K-State fan…so Vicki arranged for Willie to surprised everyone at their reception! 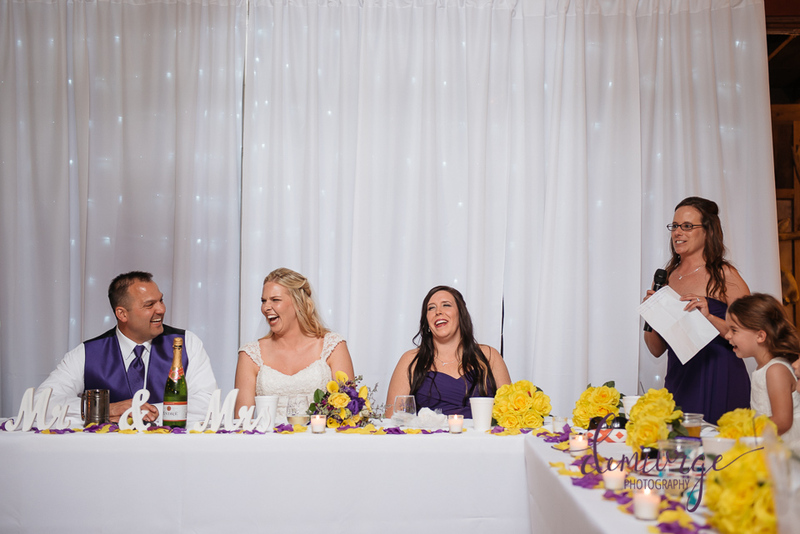 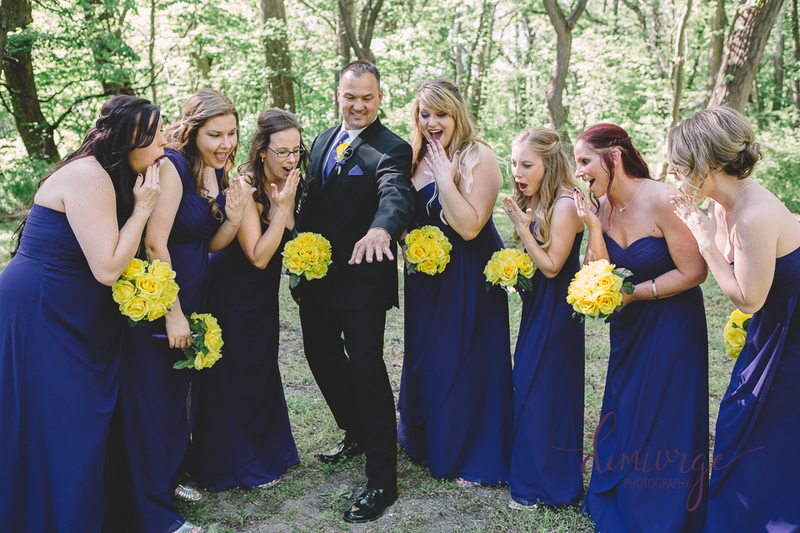 I have to say this was the sweetest surprise that I’ve seen on a wedding day, and Andre’s excitement was obvious! 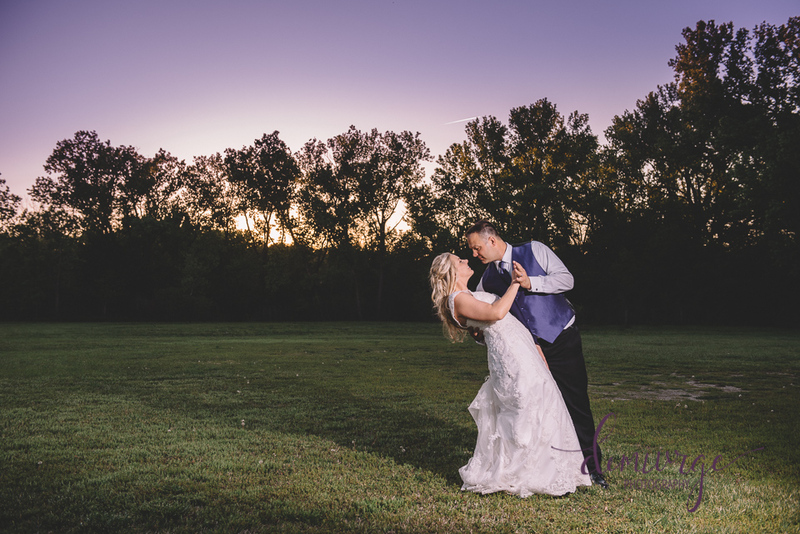 After the excitement from Willie arriving calmed, we snuck outside of Black Jack Hills to capture a few sunset photos with the bride and groom! 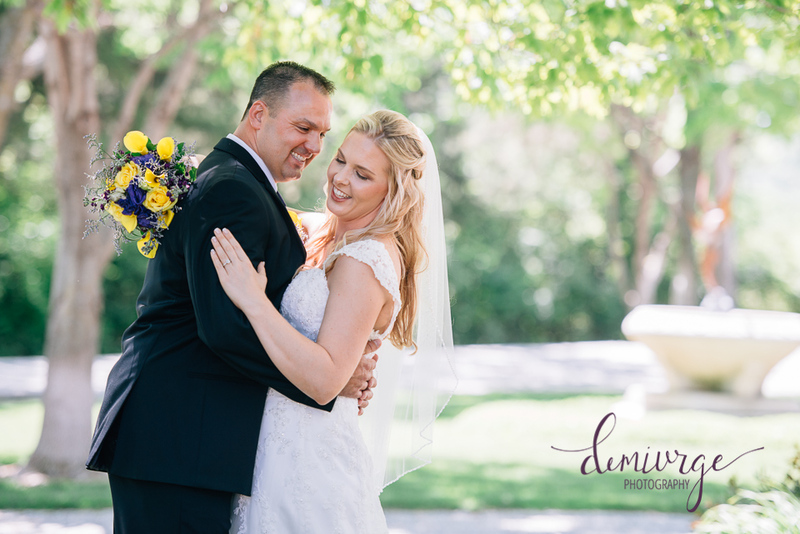 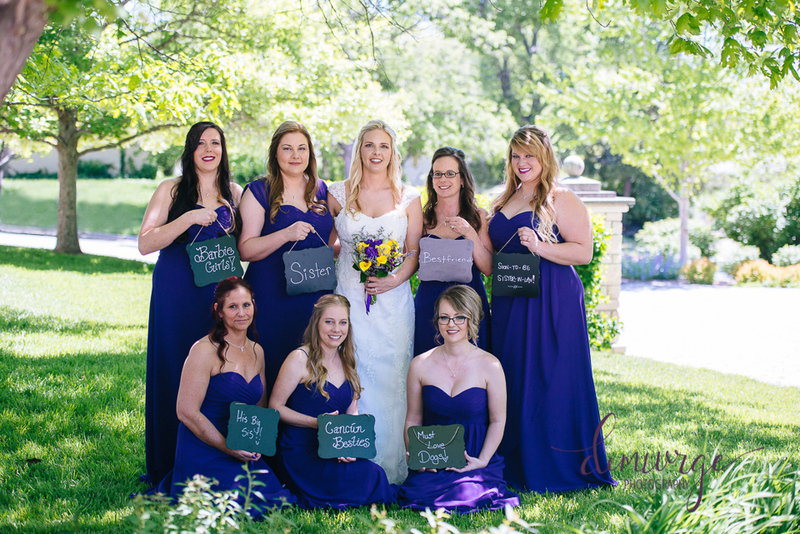 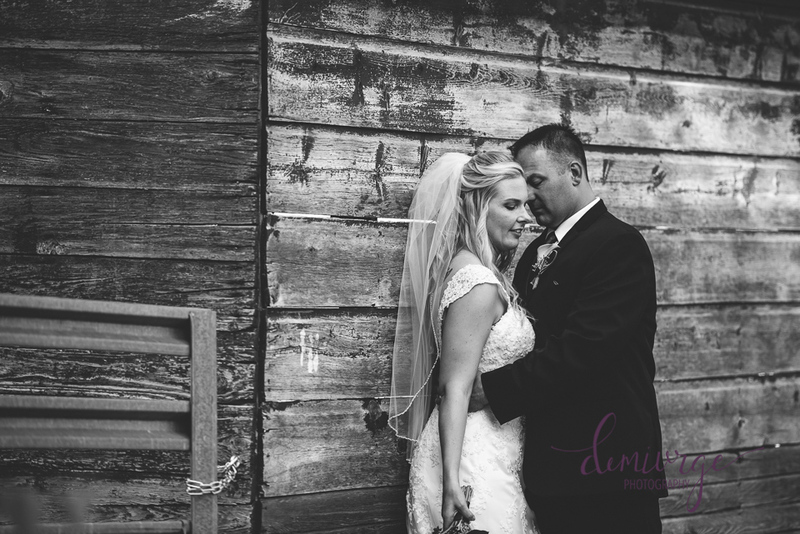 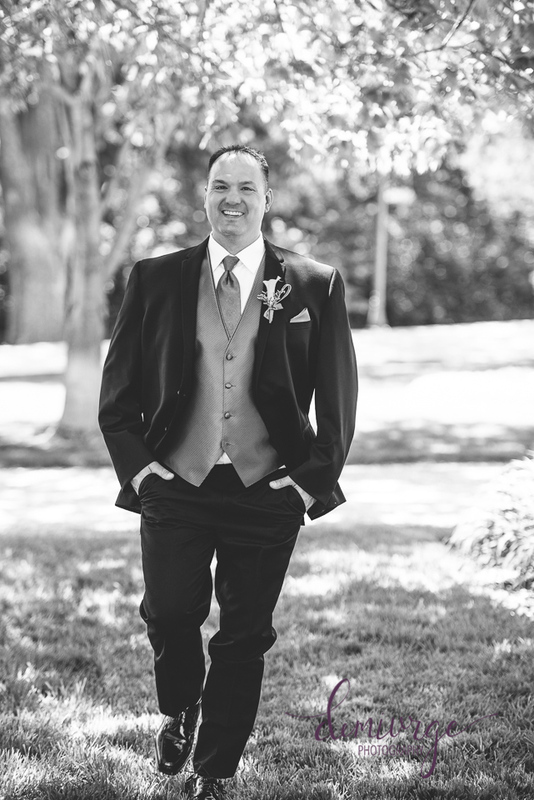 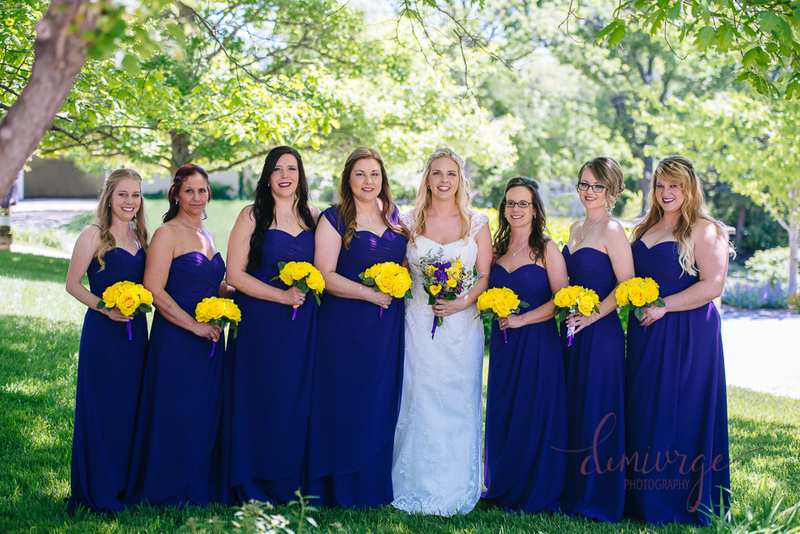 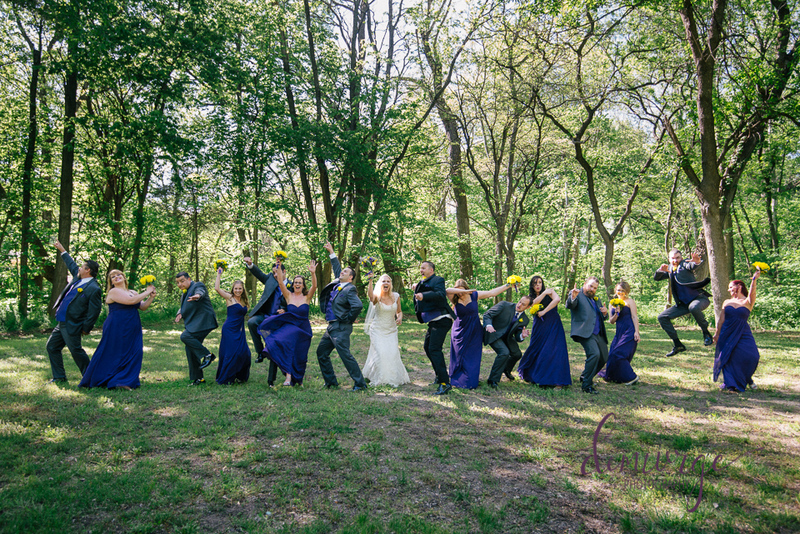 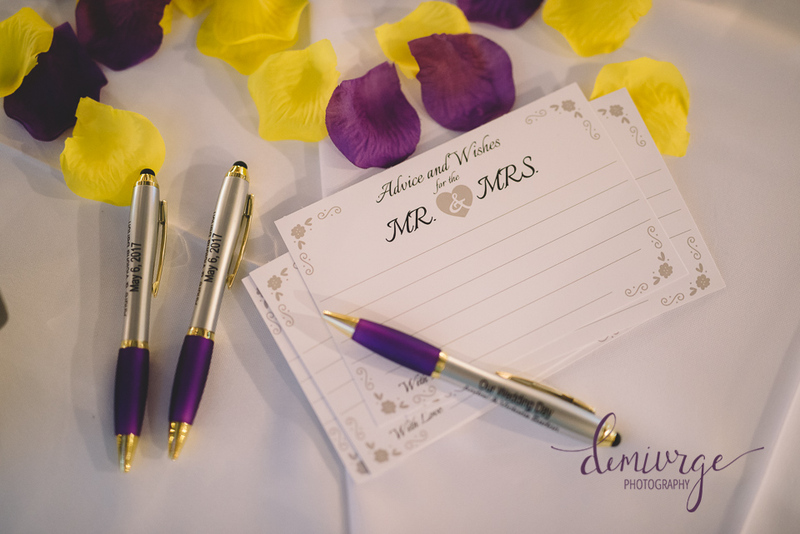 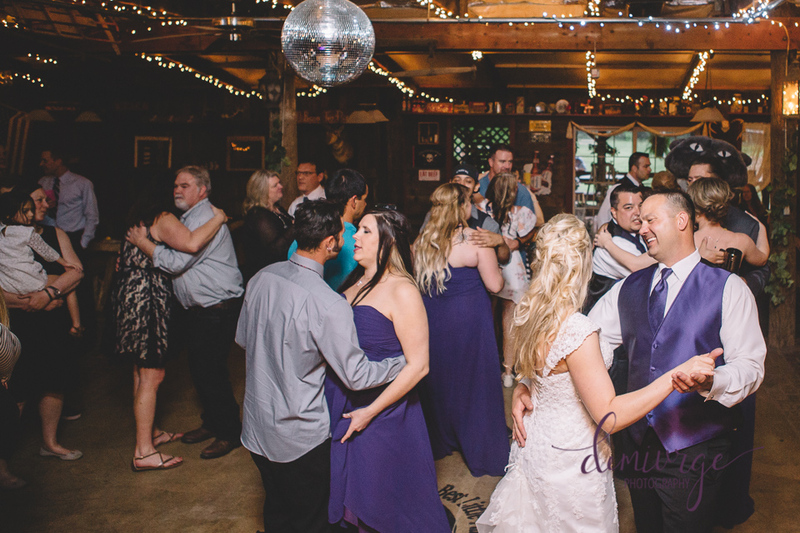 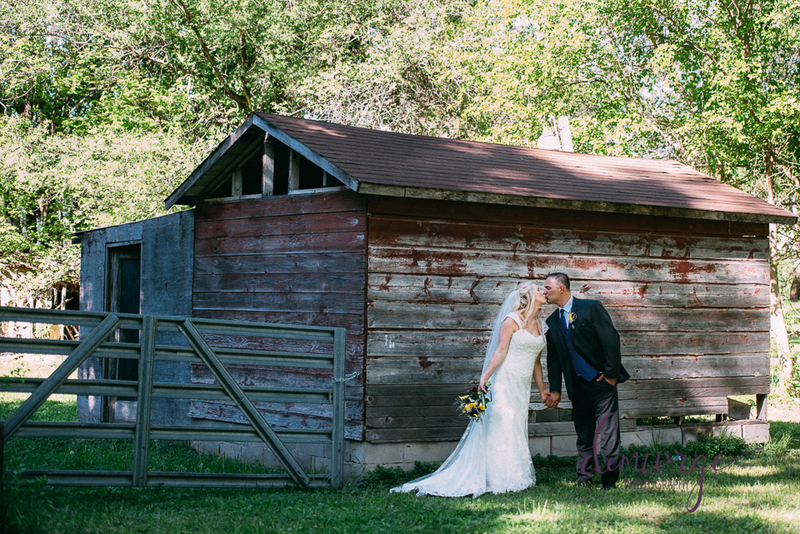 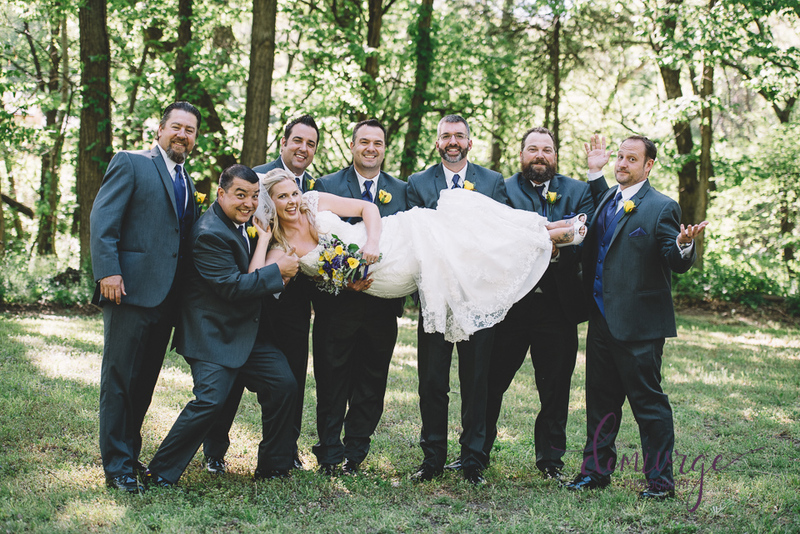 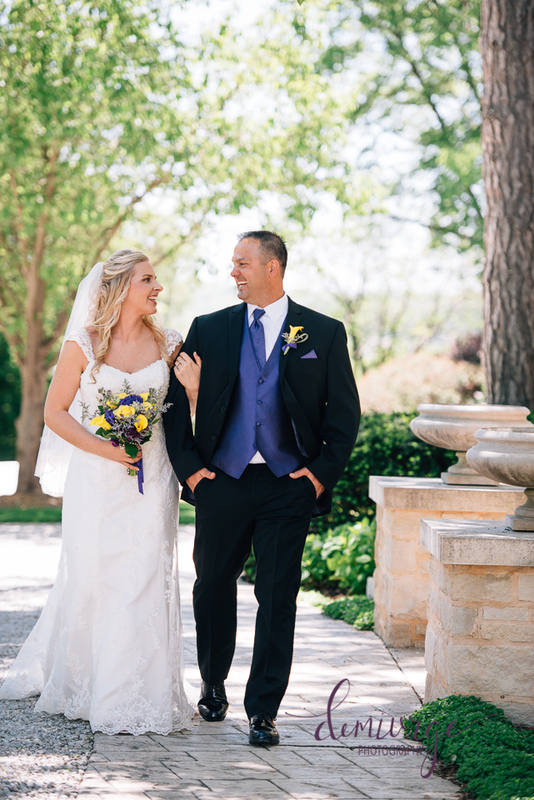 And just like that, Andre+Vicki’s wedding day was perfect from beginning to end!